UNDP China initiated a project called “Philanthropy for Sustainable Development in China” in collaboration with the China Foundation Center (CFC) in early 2017. 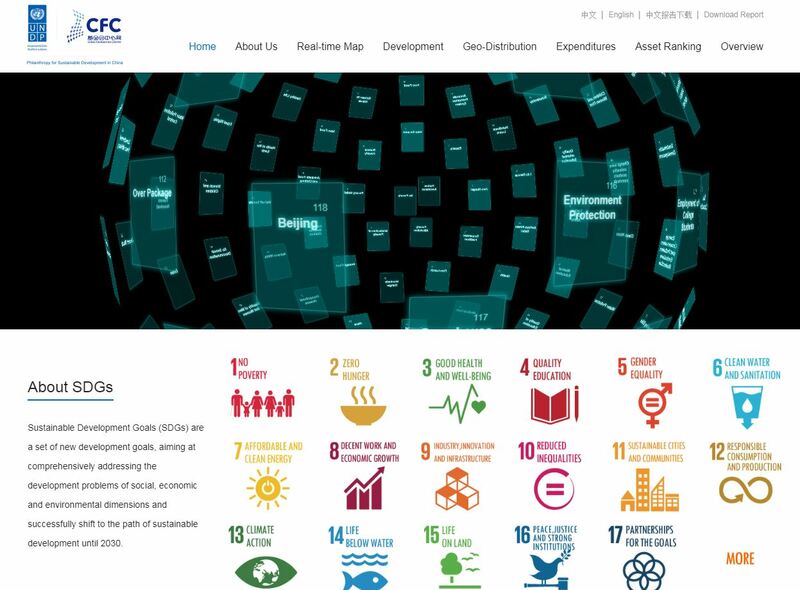 Drawing on the CFC’s core data and existing platform, this collaborative project aims at comprehensively capturing and understanding the existing contribution of China’s philanthropic sector to the sustainable development goals. 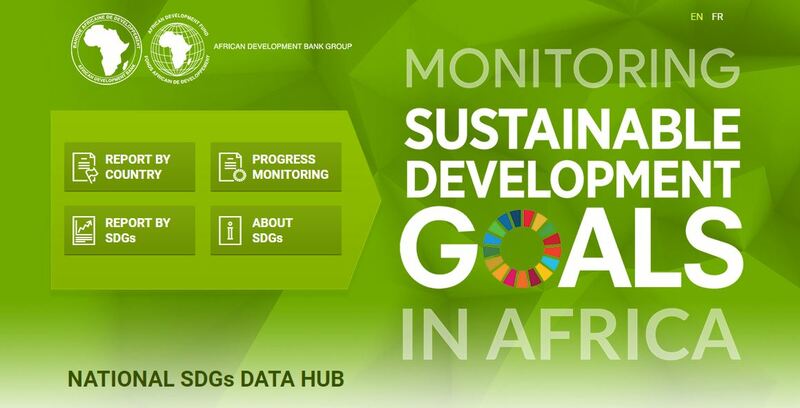 The African Development Bank has developed the SDGs Data Hub as part of its efforts to build statistical capacity in Africa and promote greater access to information for decision-making. Your application could be among the six winners who will receive a 500,000 KES investment grant and mentorship worth 350,000 KES. 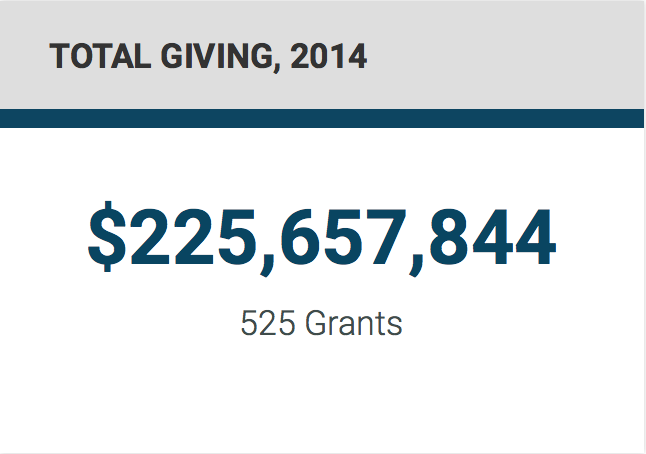 Foundation Center has been tracking philanthropy's support for the Sustainable Development Goals since the beginning. 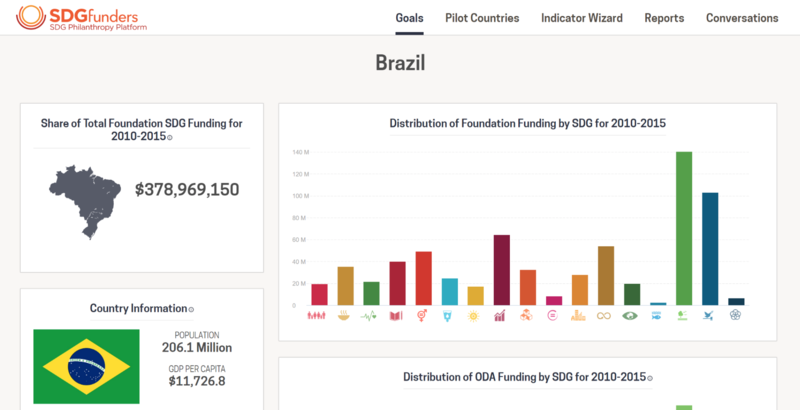 Our data shows that foundations have contributed more than $50 billion toward achieving the SDGs since January 2016, when the SDG agenda was formally launched, and we are tracking that number in real time. Designed for senior decision makers in established or growing nonprofit (NGO) organizations in South and Southeast Asia, this new program is offered in association with Dasra, India's leading strategic philanthropy foundation, and with Ashoka University. Exploring best practices in nonprofit strategy, governance, and leadership, the program will prepare you to build a high-performance organization that can fulfill its mission, expand its scope, and achieve its potential for improving lives. New York City will release its “Voluntary Local Review” of SDG progress at the 2018 session of the HLPF. 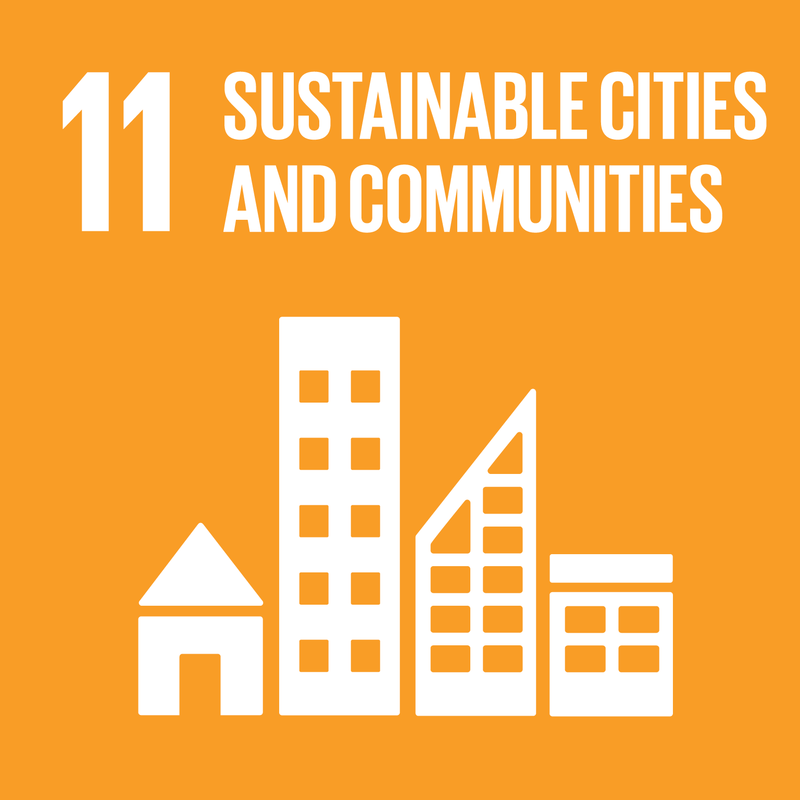 The VLR will look at the City’s progress on a set of key SDGs, reflect on successes and identify areas where New York can learn from others to address challenges. The VLR is produced by the Global Vision | Urban Action programme of the Mayor’s Office for International Affairs in close collaboration with relevant NYC agencies. 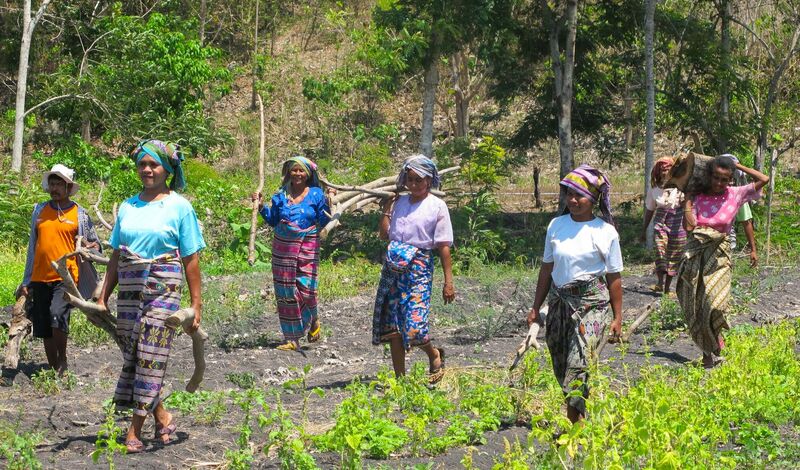 The current situation shows that female farmers in Tanzania own significantly less land compared to their male counterparts. 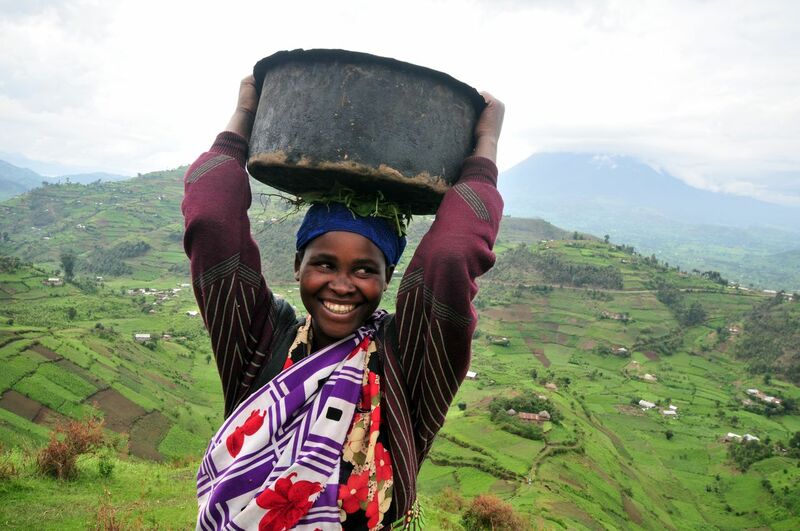 Only 24% of women report that they own land either alone or jointly with someone, while a mere 9% of women have sole ownership of a house or land, according to the National Bureau of Statistics of Tanzania. Recently, Philanthropy for Social Justice and Peace, in association with Alliancemagazine, Worldwide Initiatives for Grantmaker Support (WINGS), and the Centre for Social Impact and Philanthropy at Ashoka University, released a highly anticipated thought piece on the emerging philanthropic sector in India, one of the largest and most rapidly changing countries in the world. Bill and Melinda Gates show that data matters. The world has been on an incredible path of progress – in our lifetimes we have witnessed the biggest decrease in poverty, disease and child deaths. But progress is not inevitable. The current global political upheaval threatens development budgets and puts at risk the phenomenal progress achieved to date. To meet the Global Goals, it will take commitment and perseverance, continued investments and innovation; but most importantly it will take leadership at every level. Even though it has been two years since the start of the SDG implementation process, many still do not know and understand what it entails. 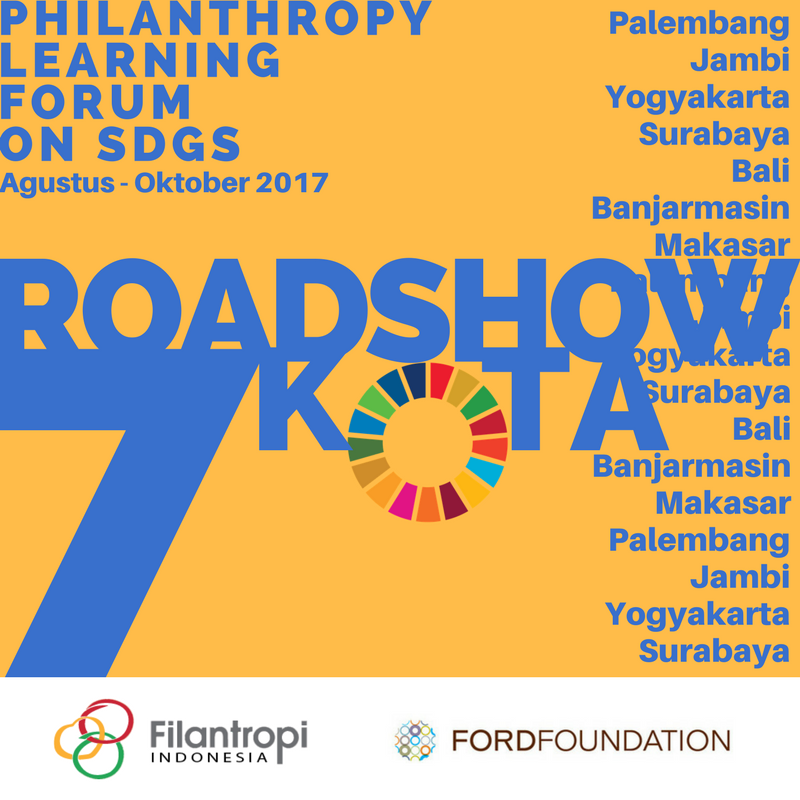 This has prompted Filantropi Indonesia to educate and campaign for SDGs to a wider audience outside Jakarta through Philanthropy Forum Learning on SDGs (PLF on SDGs) Roadshow, with a special theme “SDGs as Capacity Building and Partnership Development Tools”. The roadshow will be held in 7 cities within five different islands: Banjarmasin (South Kalimantan), Makassar (South Sulawesi), Denpasar (Bali), Surabaya (East Java), Yogyakarta (DIY), Jambi (Jambi), and Palembang (South Sumatera). 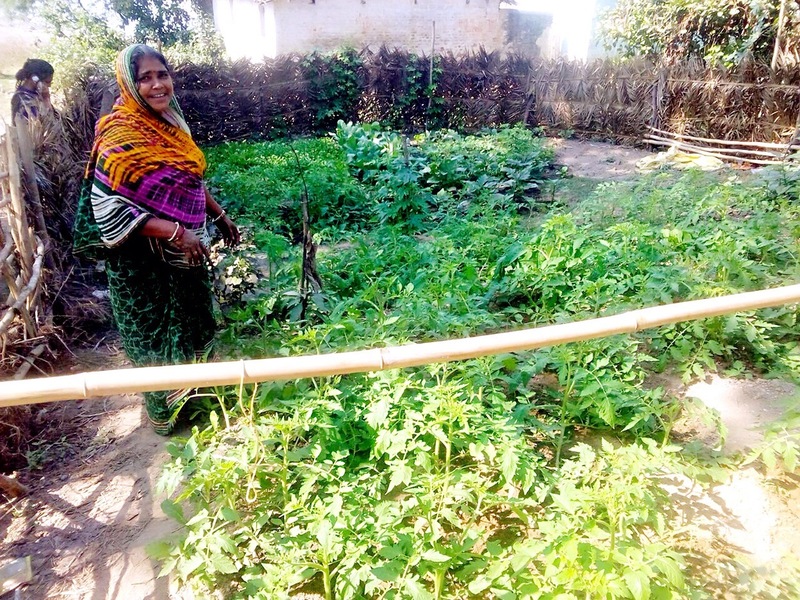 All interventions in gender discourse are incomplete unless we provide women with land rights which further become an accelerator for financial independence and a larger stake in the decision-making process. Three organizations- The Young Women’s Christian Association, The Council of Churches and The Norwegian Church Aid- have emerged as finalists of the competitive “Innovation Challenge” launched by the SDG Philanthropy Platform in Zambia to source innovations to contribute to the well-being of children in the country. The 8th International Research Conference of the European Research Network on Philanthropy (The ERNOP Conference 2017) didn’t disappoint! The research papers combined high academic rigor with interesting and pragmatic research questions facing European and global philanthropy. 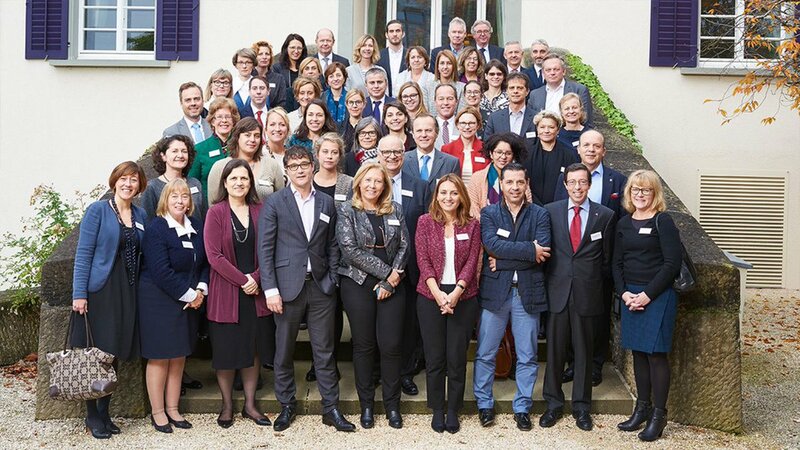 The Changing Face of Philanthropy in an era of hybridity and alternative forms of organizing, aimed to highlight the evolving nature of European philanthropy while addressing a broader question of how it contributes to contemporary social challenges. Participants were a good mix of philanthropy practitioners, academics and civil society representatives. Philanthropy’s contributions to large development frameworks such as the Sustainable Development Goals (SDGs) have been growing worldwide. Philanthropy is interested in leveraging resources to achieve greater impact, influencing long-term development, as well as creating scalable solutions. However, despite good intent, philanthropy’s impact remains limited because of siloed approaches, lack of understanding of broader development eco-systems in countries, and lack of appreciation for collaboration. Zambia has recently completed development of its next medium-term national development plan – the Seventh National Development Plan (7NDP). The development of this inter-sectoral, results based plan provides an opportunity for foundations and philanthropic organizations to place a strong focus on addressing these concerns in their programming and funding. 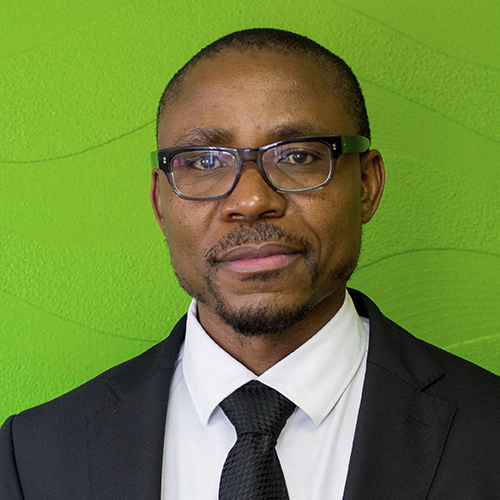 Three social innovators – Saha Global, TREND and CONIWAS – have received grant awards totalling US$ 112,000 to implement initiatives that boost access to universal safe and affordable water in Ghana. The SDG Philanthropy Platform will work with the grant winners to develop monitoring and evaluation mechanisms and reporting. Student Debt in the USA: How can philanthropy help? 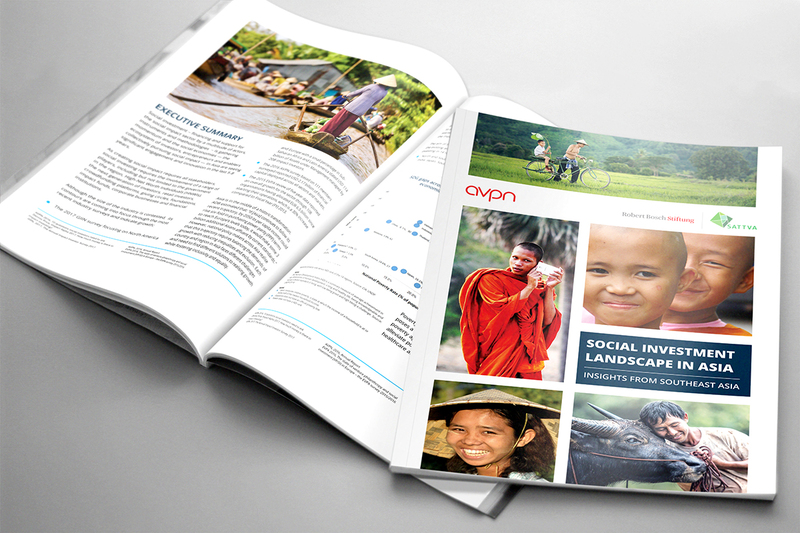 Following the recent Asian Venture Philanthropy Network (AVPN) Conference in Bangkok, the largest gathering of social investors in Asia, AVPN launches its latest research The Social Investment Landscape in Asia. The ground-breaking report serves as a guide for social investors to maximize their impact whether they are philanthropists, impact investors, or corporations engaged in CSR. 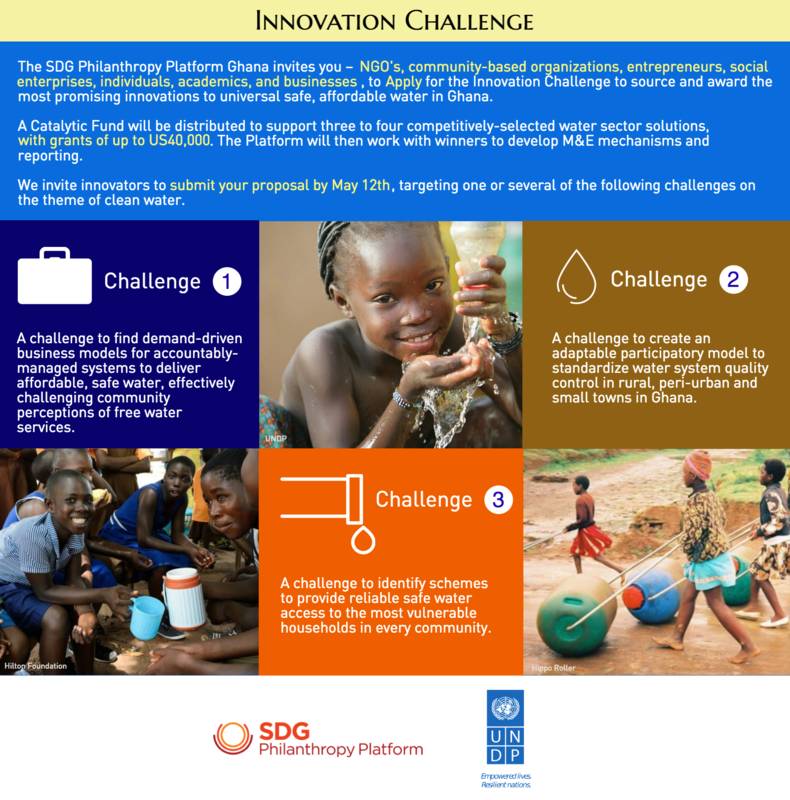 The Innovation Challenge was launched by the SDG Philanthropy Platform in Ghana to source the most promising innovations to universal safe and affordable water in Ghana. 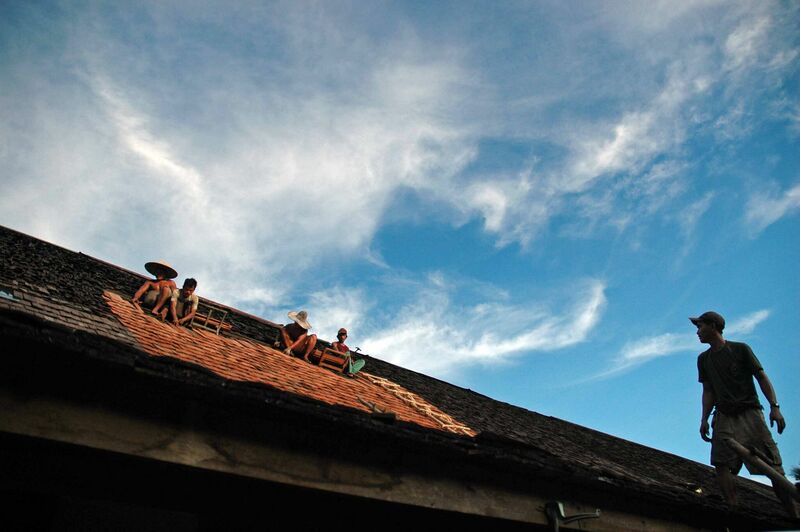 Brazil is a large middle income country with one of the world’s largest income disparities. The country has been facing big political and economic turmoil over the past two years, but the relevant social improvements achieved in the past decades are undeniable. Investing in women’s empowerment is one of the most effective ways to achieve all the Sustainable Development Goals (SDGs). Some believe it is the single most effective way. The interrelatedness and complexity of the SDGs calls for new ways of working to realize them. In this video, we interview Catherine Mwendwa, programmes officer at East Africa Association of Grantmakers (EAAG) about the most pressing issues facing the philanthropic sector in East Africa. This video is the second in a series of vlogs (a trendy tech word for video blog!) where Foundation Center staff interview foundation leaders and partners to dig into prevalent themes common to our shared missions and work. These vlogs are meant to be unpolished and off-the-cuff to share out in (near) real-time what we're learning and hearing in funder gatherings. East African philanthropy is at a tipping point, and philanthropists around the world should be watching what comes next.There is a dire need for data and knowledge on and for philanthropy in East African countries which—like other regions and countries around the world—lack central repositories of information on philanthropic activities. 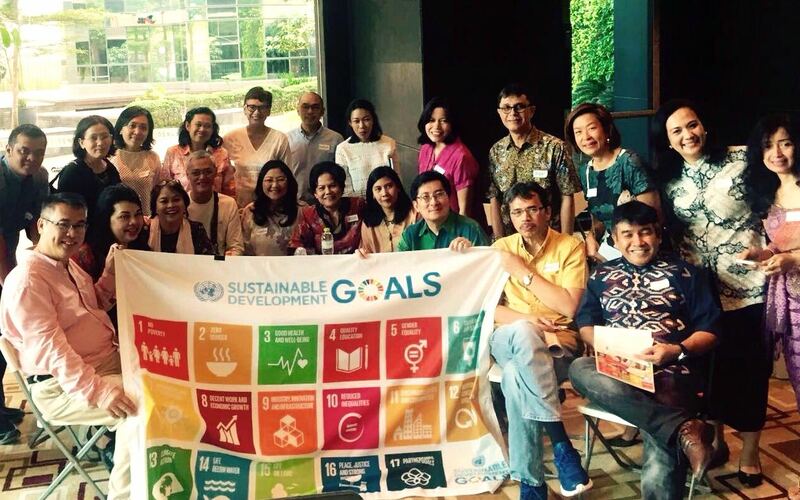 Updates on Filatropi Indonesia's work around capacity building for philanthropy organizations and our role in the implementation of the SDGs in Indonesia. 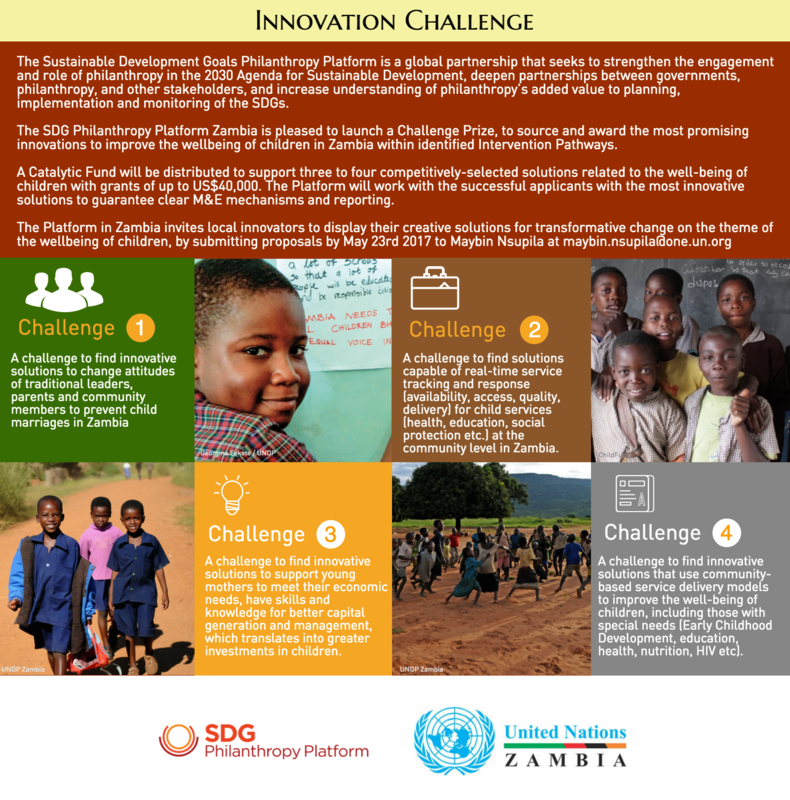 The SDG Philanthropy Platform Zambia is pleased to launch a Challenge Prize, to source and award the most promising innovations to improve the well-being of children in Zambia within identified Intervention Pathways. Submit proposals by May 23rd 2017. The SDG Philanthropy Platform Ghana invites you NGO's,community-based organizations, entrepreneurs, social enterprises, individuals, academics, and businesses, to apply for the innovation Challenge to source and award the most promising innovations to universal, safe, affordable water in Ghana. We invite innovators to submit your proposal by May 12th, targeting one or several of the following challenges on the them of clean water. 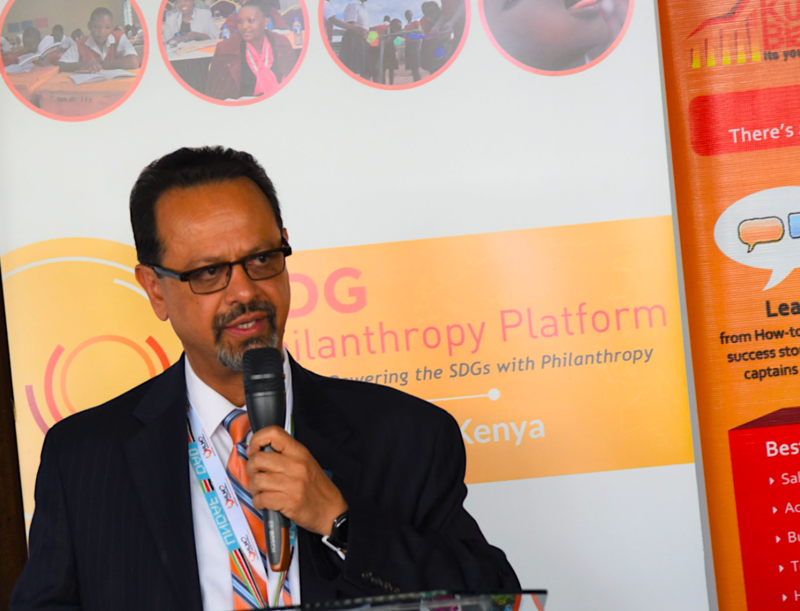 The SDG Philanthropy Platform Kenya invites social entrepreneurs, non-profits, academics, networks, and civil society champions, to join forces with the UN in Kenya and the SDG Philanthropy Platform, to identify and text breakthrough approaches for accelerating Early Childhood Development (ECD) impacts. Apply by submitting proposals by May 9th. 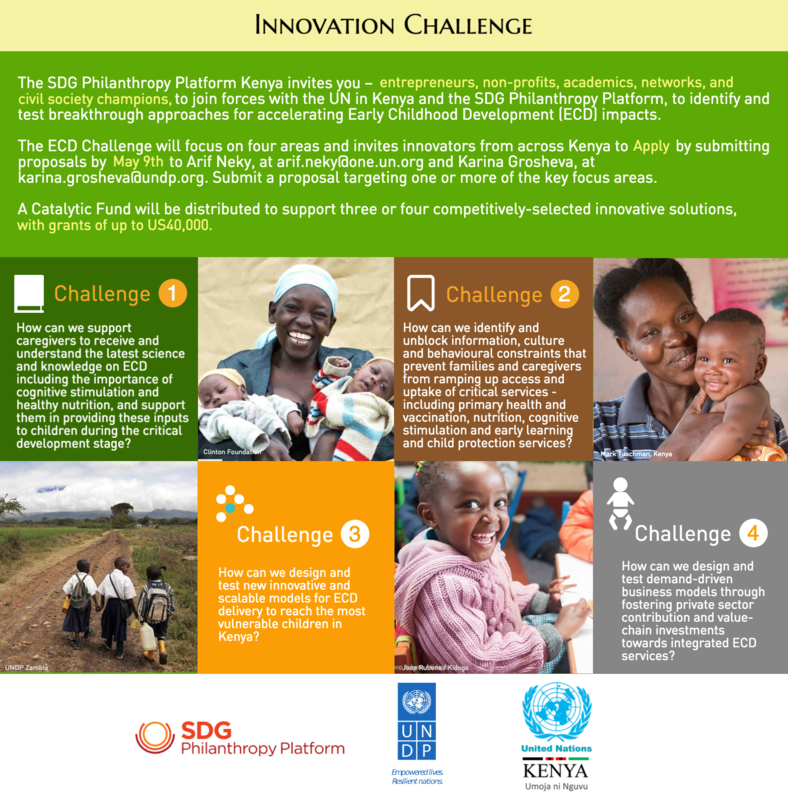 The SDG Philanthropy Platform (SDGPP) has just recently launched an Innovation Challenge on Early Childhood Education in Kenya and Water in Ghana. To really have an impact, funding needs to go beyond standalone projects and contribute to longer-term systems change. 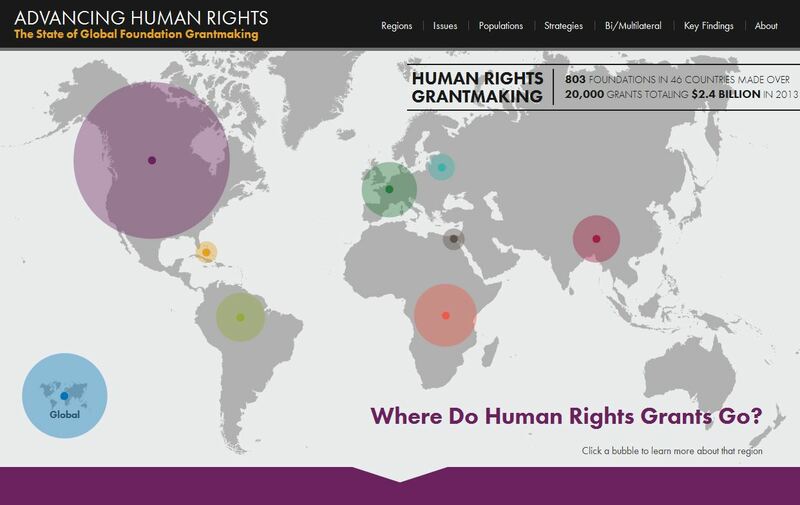 Human rights funders played an active role in supporting civil society’s engagement with the SDGs - their work was critical to ensuring the new development goals were rooted in human rights principles. The Conrad N. Hilton Foundation has announced first-quarter grants totaling $15 million in the areas of refugee assistance, homelessness, and substance use prevention. Besides giving grants, the foundation now wants tomake sure its endowment is being invested in places that will have a positive impact. As Islamic principles support socially inclusive development, funding from Islamic giving - termed ‘Zakat’ - has the potential to play a crucial role in bridging funding gaps to achieve the SDGs. An important victory for Non-Profit Organisations (NPOs) and institutional philanthropy, a global group of NPOs have secured seats on a key forum of the Financial Action Task Force (FATF), a policy body that sets international standards for combating money laundering and terrorist financing. 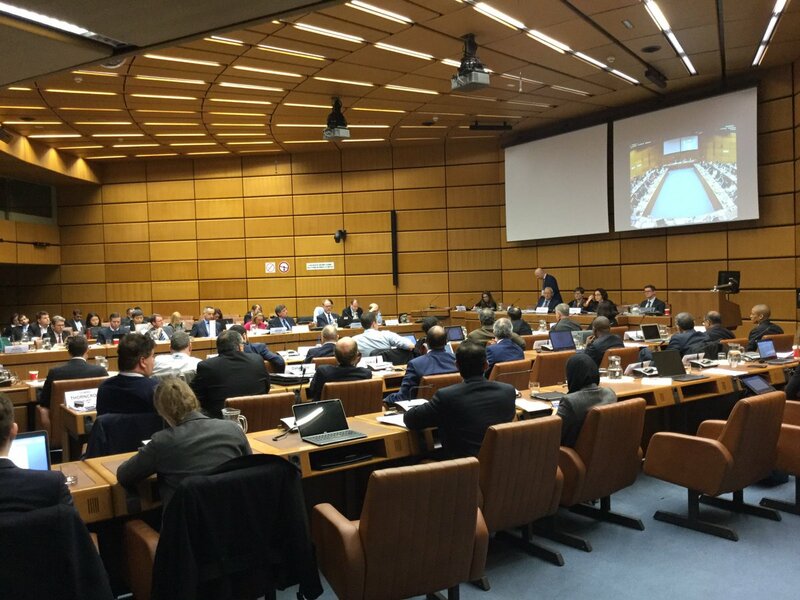 This is the first time that a diverse array of NPOs will have a formal say at the FATF table, the European Foundation Centre (EFC) will hold one of these important seats. 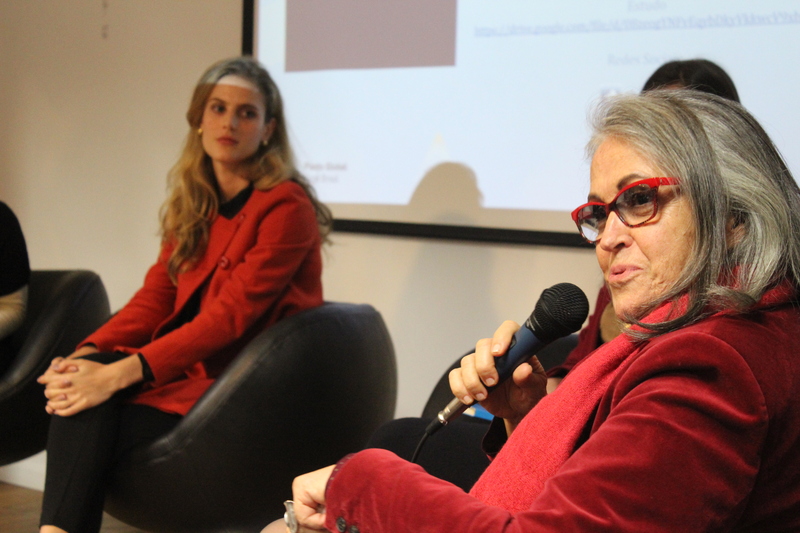 AFE met with partners and colleagues on March 17, to gain further insights to integrate into the as-yet unpublished philanthropy and peace report ‘Peace and Colombia’s Sustainable Future’. 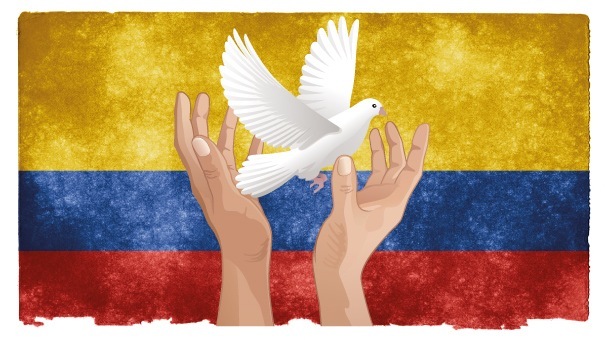 The report analyzes how Colombian philanthropy can contribute to peace building within the framework of SDG16: Peace, Justice and Strong Institutions. AFE gained new information and insights to improve the report, and will announce the publishing date of the report, realized with support from the Platform, shortly. 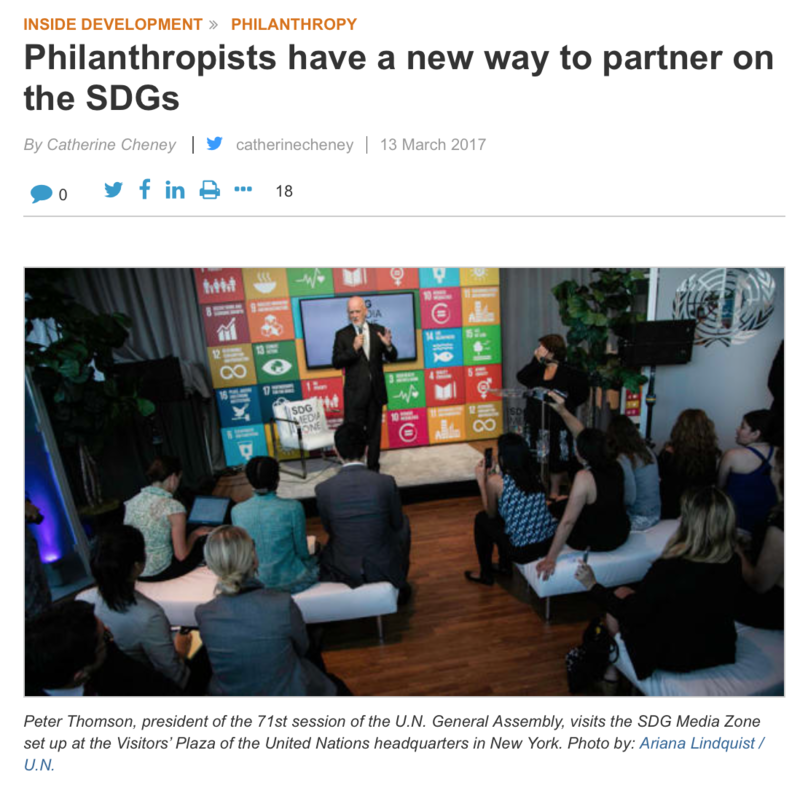 5th April 2017 - The SDG Philanthropy Platform launched in Brazil at a high-level online conference, aiming to deepen partnerships to achieve the SDGs. Jointly with partners, UNDP Brazil is hosting a conversation with Brazilian foundations about launching the SDG Philanthropy Platform in Brazil. Can the Sustainable Development Goals (SDGs) be transformed into a framework to advance in women’s rights at local level and give a contribution to reduce the persistent gender gap? Nairobi, 30th – 31st March 2017 - The SDG Philanthropy Platform hosted an interactive workshop in Kenya for ECD stakeholders to identify intervention pathways for accelerating Early Childhood Development (ECD) impacts in Kenya to meet collective aspirations on achieving the SDGs. On March 9th, foundation leaders gathered in Minnesota to discuss how SDGs can provide a framework for local collaboration around health, education, employment, and inequality. The fifth in a series of meetings for philanthropy to discuss the SDGs in the US, the meeting was co-sponsored by the Council on Foundations, Minnesota Council on Foundations, Medtronic Foundation, and the Platform, with speakers representing local and global partners, including Foundation Center and UN Foundation. Minnesota's largest foundations, joined by Minneapolis Mayor Betsy Hodges, met to strategize how they can align their missions with the U.N.'s Global Goals for Sustainable Development. 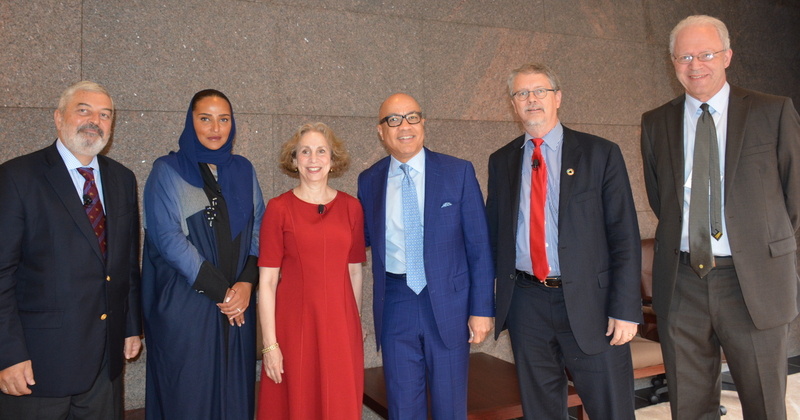 The United Nations Foundation, the Washington-based Council on Foundations and the Minnesota Council on Foundations organized the event at the Medtronic campus in Fridley. 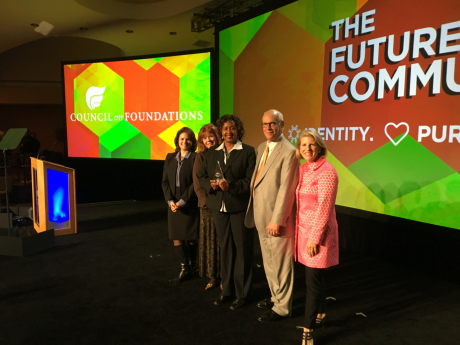 Council on Foundation’s Natalie Ross shares insights and experiences from February’s WINGS Forum held in Mexico. 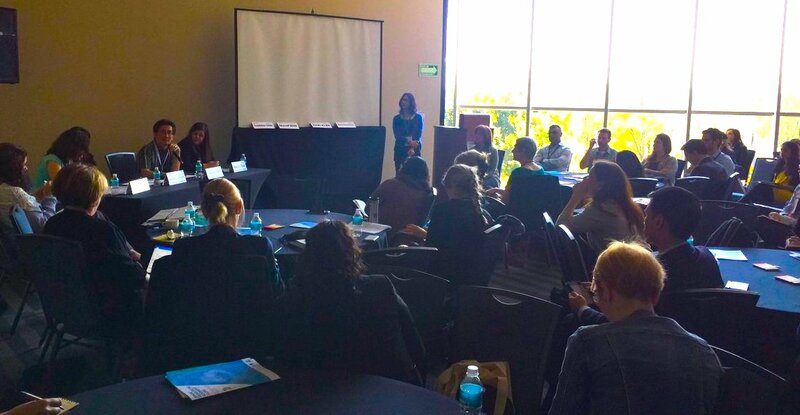 Discussing shared strategies in implementation on the SDGs in Mexico, Pakistan, Indonesia and the US, Natalie discusses how philanthropy is working with local networks of foundations, and key partners to catalyze local multi-sector collaboration around the SDGs to achieve ambitious targets. Natalie highlights the importance of collaboration and lesson-learning to achieve SDGs both domestically in the US, and globally. The powerful business community can support early childhood initiatives to achieve SDGs, but need evidence, facts, and reason to back decision-making. 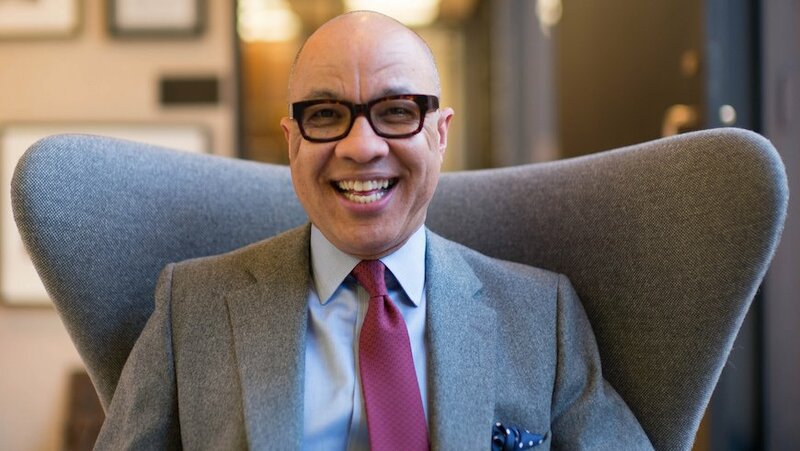 Five foundations, organized by the Jacobs Foundation and supported by ReadyNation International, developed a Forum to reach and inspire business leaders, joining forces to lay groundwork in eight countries. The Forum gathered key stakeholders to make the economic case for investing in early childhood, illustrating the power that can be harnessed when business leaders align to back solutions. Pete Brach of the Brach Family Charitable Foundation and supporter of the Platform, shares his journey of philanthropy, finding a lack of available critical information for foundations to achieve greater impact, and a lack of collaboration and partnership to scale existing work. Pete Brach discuss’ the fFoundations support for the Platforms work on early childhood development in Kenya, working with Hilton Foundation, and with civil society and government very much involved. Despite progress, threats to the wellbeing remain in Zambia, from poverty, to poor nutrition, health, sanitation, and education. Investing in children through early childhood development and education is a catalyzer and accelerator for achieving many SDGs, and provides an opportunity for diverse groups to work together to solve challenges. An upcoming SDGPP Zambia workshop will bring together varied actors to generate new ideas for systemic and collaborative action to advance the well-being of children. 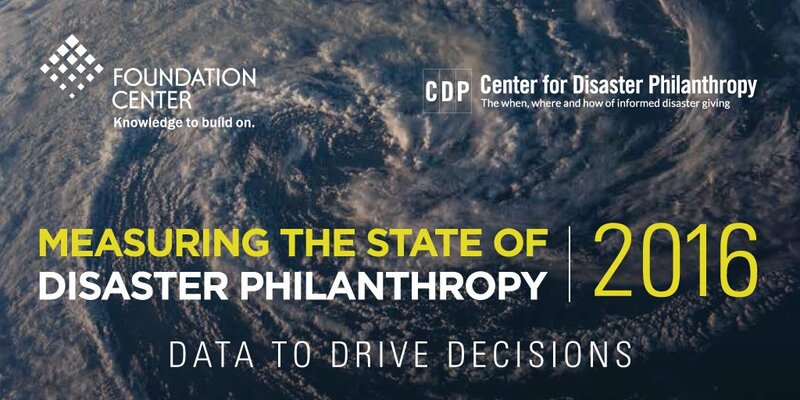 The Center for Disaster Philanthropy (CDP) and Foundation Center worked in partnership to analyze global disaster-related philanthropy. The 2016 report Measuring the State of Disaster Philanthropy: Data to Drive Decisions, found an unbalanced focus on funding immediate response and relief efforts, rather than on disaster risk management and preparedness. 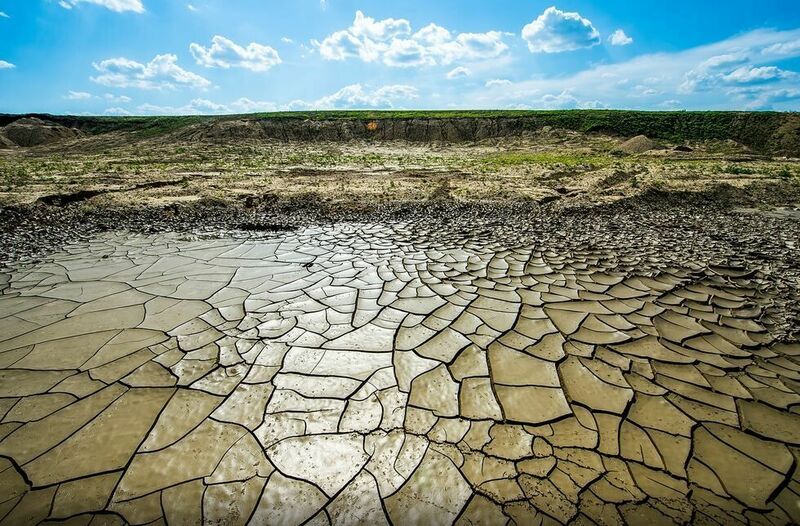 This report aims to motivate funders to support more strategic, long-term solutions to mitigate the impact of disasters and build stronger, more resilient communities. 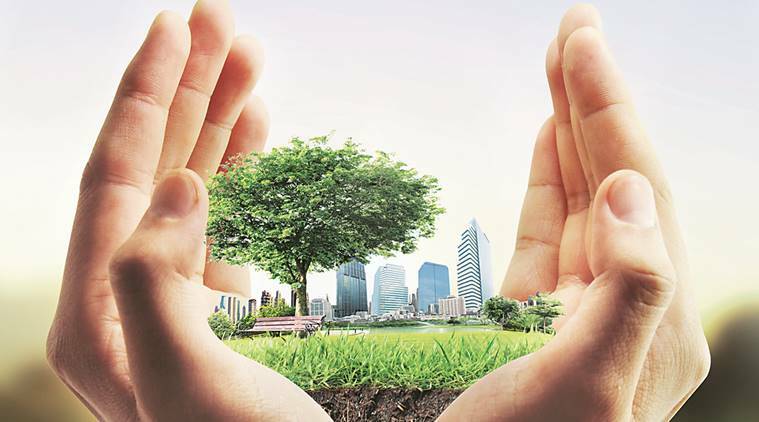 India’s booming philanthropy and business sectors can play a critical role in accelerating work on the SDGs, additionally, alignment of government and philanthropy could bring much-needed funds, technical knowledge and skills. 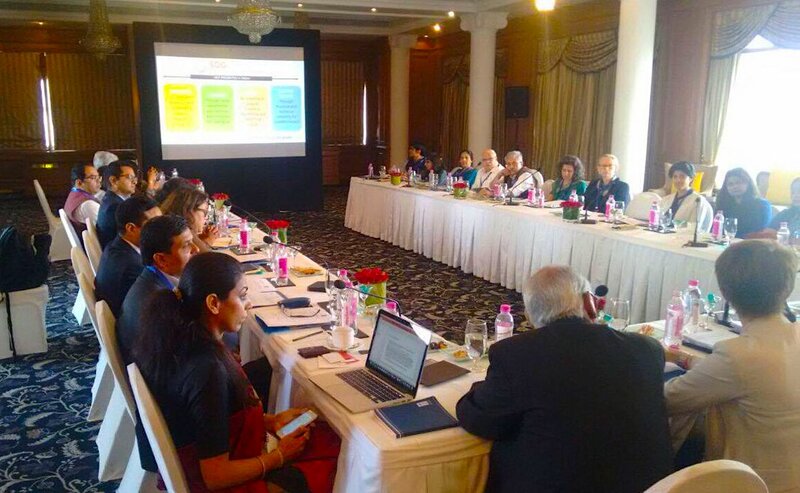 SDGPP’s work in India aims to bring the philanthropy sector into partnerships with various stakeholders including business and the government, stemming from the notion that only a collective push and deeper partnerships can achieve lasting systemic change and the SDGs. Achieving the SDGs will require financial contributions from a range of sources. #GivingTuesday, the day of philanthropic giving, has grown rapidly to include over 30,000 organizations in 68 countries. In 2016, it raised a record US$168 million, which shows the increasing strength of philanthropy to achieve the SDGs. 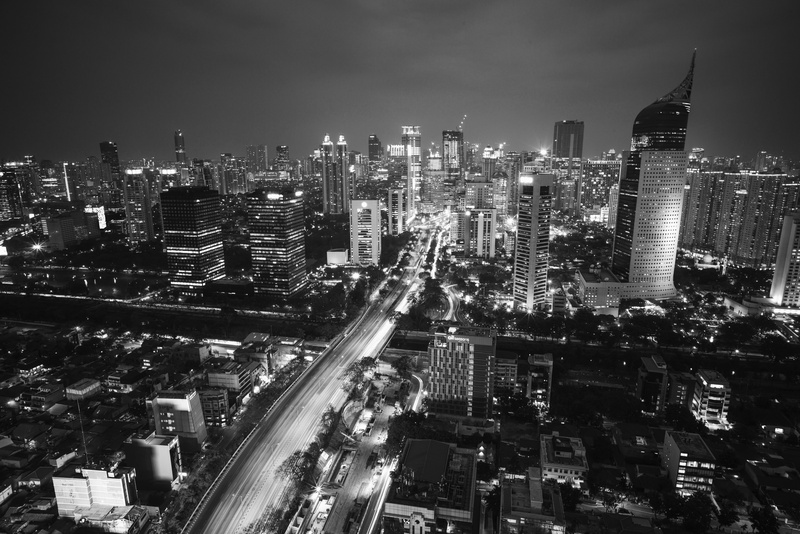 With the first Indonesia Philanthropy Festival, monthly discussion sessions, and involvement in international events with the Platform, FI’s global recognition has increased, along with the creation of many new partnerships to achieve the SDGs in Indonesia. 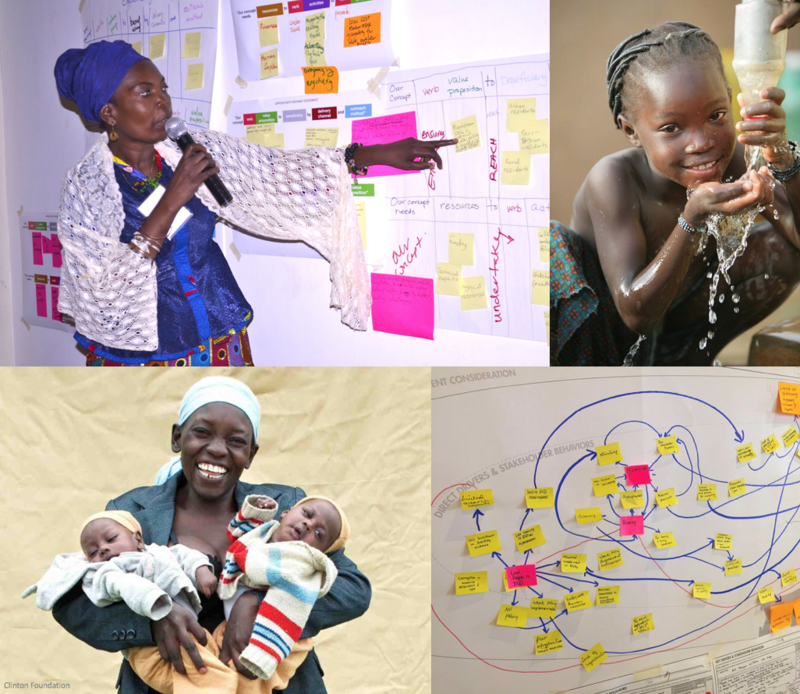 In 2016, FI launched the Philanthropy Skill Share Forum, provided capacity building training and workshops, ran educational events, advocacy and facilitation programs, and conducted research with partners. FI looks forward to new partnerships and continued work with the Platform and others. The Indian government and the Indian philanthropic community are committed to achieve the SDGs through multi-stakeholder participation. 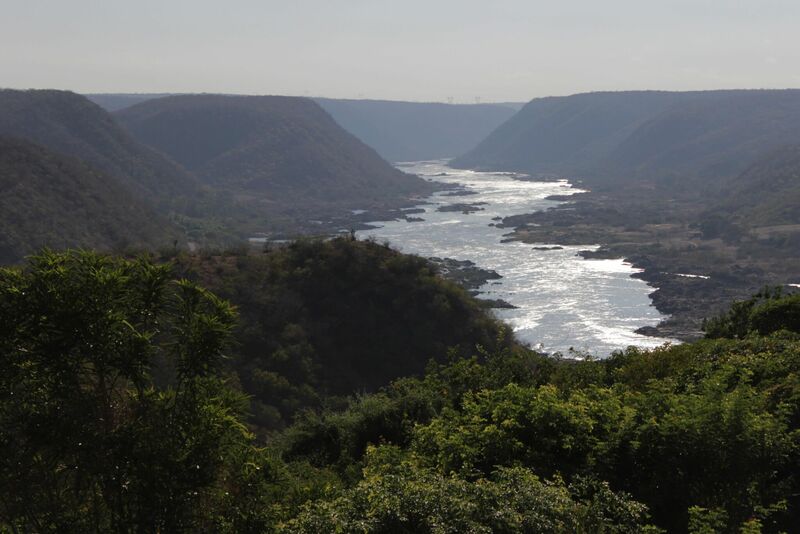 Karolina Mzyk Callias recounts recent meetings with dynamic, optimistic Indian philanthropists and social entrepreneurs. This dynamic group can be a great engine to drive progress forward, with passion, money, and a focus on experimenting and finding solutions, through collaboration and the leveraging of resources, prioritizing issues and integration, and working on public policies. 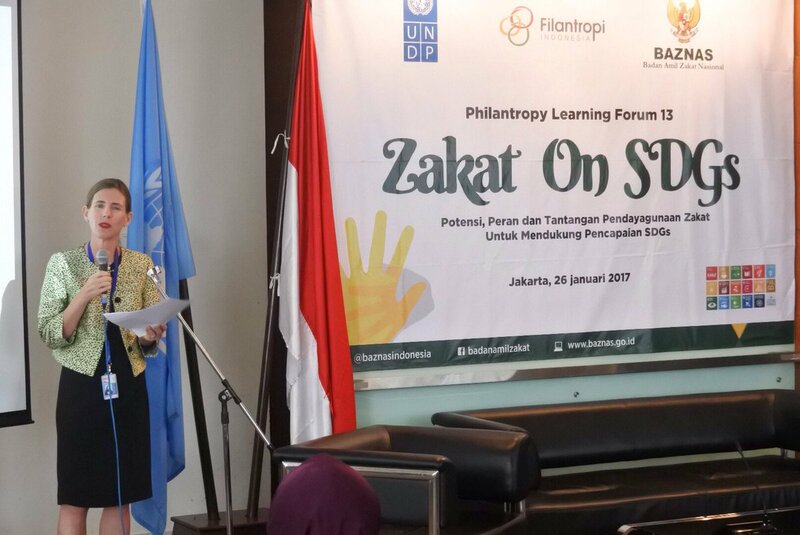 Zakat has the potential to become an alternative power source in supporting the SDGs in Indonesia. 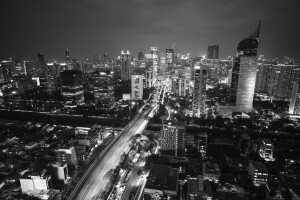 Zakat has a high philanthropy resource potential in Indonesia. 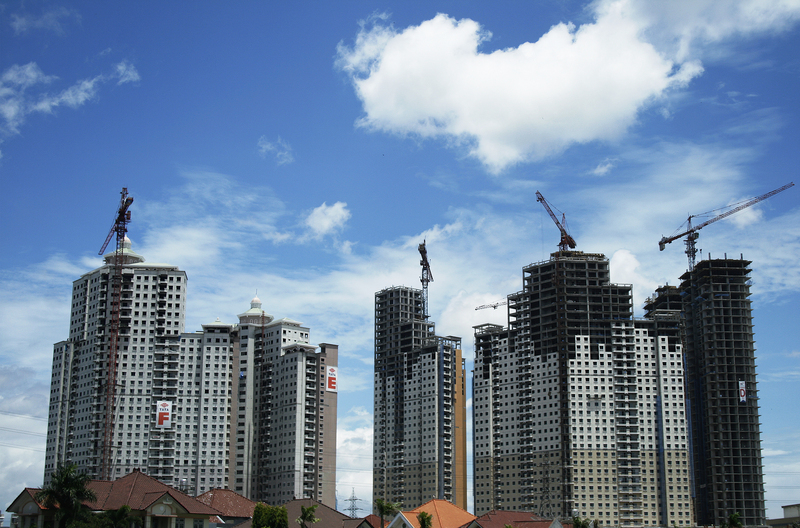 Data from BAZNAS (2015) shows that the potential Zakat giving Indonesia reached Rp 286 billion, while the amount of Zakat collected in 2015 reached Rp 3.6 trillion. The number of Zakat management organizations has also increased and achieved more rapid growth than other philanthropic institutions. On the occasion of the 2017 World Economic Forum (WEF), private sector actors and WEF initiatives have released reports that consider the role of business in advancing the aims of the Sustainable Development Goals (SDGs). 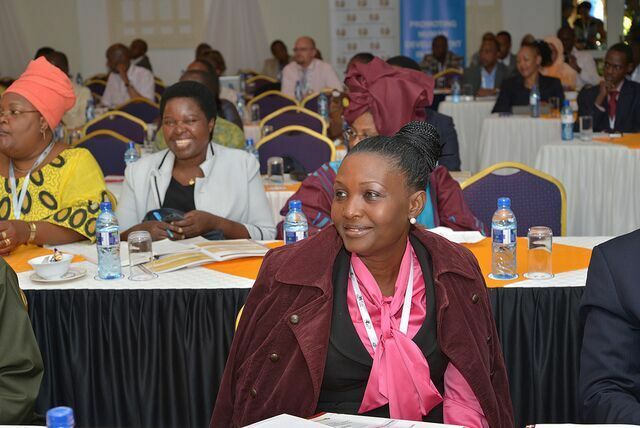 In 2016, SDGPP Kenya hosted high-level multi-stakeholder meetings, including on education and leveraging the resources of philanthropy, supported data capacity trainings, oversaw the launch of new philanthropic initiatives, presented at and attended prominent events including multi-stakeholder and private sector meetings on ECD, and international events including UNGA and HLM2. These events brought together government, philanthropy, business, and others to foster cross-sector engagement, strengthen the role of philanthropy, and advance the SDGs. 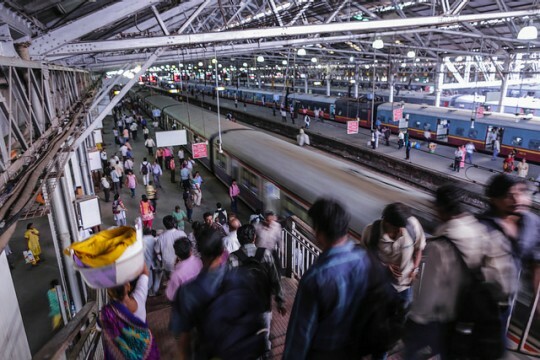 The Platform launched in India at a high-level meeting in India’s financial hub of Mumbai, aiming to deepen partnerships to achieve the SDGs. The meeting was attended by a wide range of stakeholders including government, private sector and philanthropy. 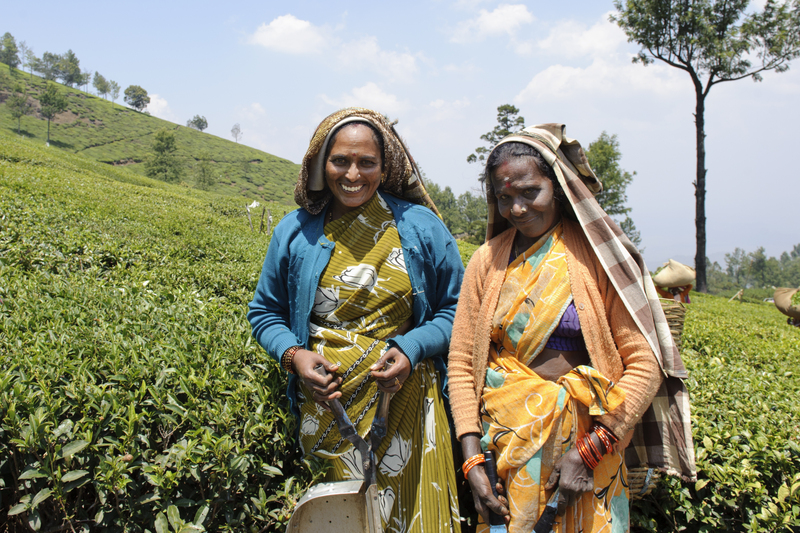 In India, the Platform aims to reduce duplication of efforts, leverage resources among partners, give grantees and donors a greater voice in the national plan for SDG implementation, offer an avenue to identify and apply innovative methods from the private sector to UN and government programmes, focusing initially on investing in women and girls as an accelerator across the Goals. Through the Platform, grassroots non-profits in India will have access to the expertise and resources from the UN, top corporate and academic leaders in India as well as from Stanford and the greater Silicon Valley and other US institutions including UCLA. With the compass of the SDGs as a guide, partners of the Platform will be able to analyze data and collectively identify gaps, catalyze funding and the building and scaling of low-cost innovation and other solutions that help all Indians lead a dignified life. Water For People’s mission is “everyone forever,” which means that they consider their work fulfilled when everyone in a district they work in has permanent access to safe water. 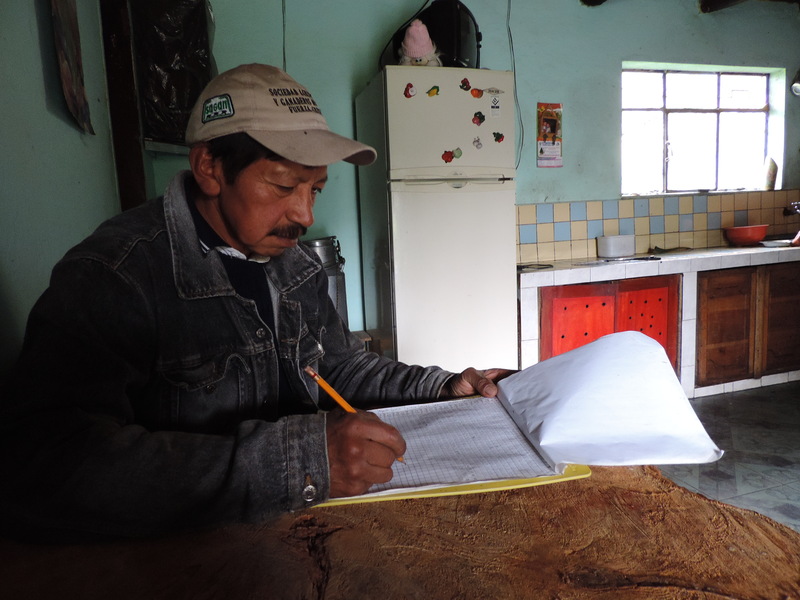 The group anticipates reaching this status within the next fiscal year in two districts within two of the Latin American countries they are working in — Honduras and Bolivia. As a result, they have begun to tackle the question of how to begin to exit the districts they are working in — one that touches much if not all of social design work that relies on some level of outside expertise. Any project that begins working somewhere it won’t stay forever will, sooner or later, be faced with this dilemma. On December 14, 2016, the Center for Open Data Enterprise and the Global Partnership for Sustainable Development Data convened a Roundtable to develop recommended priorities for the U.S. Government’s SDG Data Revolution Roadmap The Roundtable brought together more than 40 stakeholders from government, civil society, and the private sector with expertise in achieving and promoting sustainable development. The interest in and momentum of African philanthropy is rising faster than ever before. Not so long ago philanthropy was accorded no part in formal and intergovernmental processes. Today it plays a crucial role in bridging gaps and connecting actors to help drive outcomes. To address a number of areas included in the SDGs, philanthropists have given annually an estimated USD 32 billion (OECD, 2014) to tackle some of the world’s most pressing development issues, such as malaria or economic and gender inequalities. But money alone is not enough to move the needle. What also counts is the additional value foundations offer through three concrete roles they play as advocates, innovators and impact drivers. 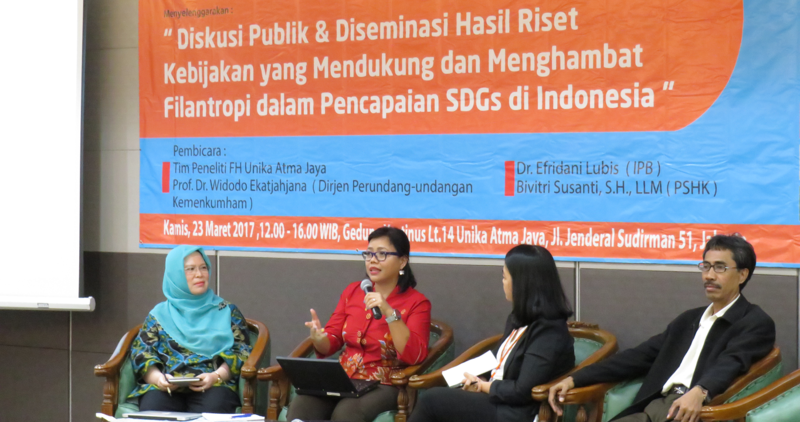 Philanthropy organizations in Indonesia have a significant role to play in reaching the Sustainable Development Goals (SDGs). Philanthropic contributions are needed because the success of reaching the SDGs depends on inclusive global partnerships, active engagement from the government, public, and the private sector, and also innovative ways to mobilize financial and technical resources. The California Community Foundation has announced quarterly grants totaling nearly $5.57 million to Los Angeles County nonprofit organizations working to address housing, education, and health needs in the region. I attended the SDG Coordination workshop in Riau province on the 24th of November 2016 at Pekanbaru City, attended by national and local government ministries, private sector and foundations. Amongst the presenters were UNDP and Filantropi Indonesia - who presented on the SDG Philanthropy Platform and the role of philanthropy and business in achieving the SDGs. 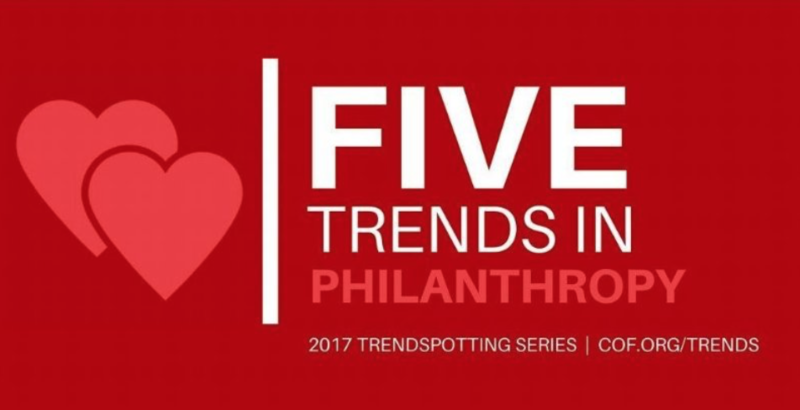 Five Trends in Philanthropy in the U.S for 2017 include fewer resources for non-profits, a spike in unrestricted funding, foundations to focus on their role as knowledge hubs, tax reform, and philanthropy stepping up and in. Press Release: Official Release of the ‘Guide to Investing in the SDGs in Kenya’, at HLM2, Nairobi. SDG PP teams and UNDP worked jointly with Dalberg Research to create a useful Guide to illustrate the stakeholders, policies, and avenues to enable participation necessary to establish an SDG roadmap in Kenya, and so that philanthropists better understand and engage in the emerging framework of SDG delivery across priority areas, with a focus on the education sector. The guide was officially released by the Platform in Kenya on November 29 during a side event on the Catalytic Role of Philanthropy in Africa at the Second High-Level Meeting (HLM2), Nairobi. Colombia faces a critical moment in history; after the negative results of the public consultation through a referendum, the Congress approved an updated peace agreement that will allow the country to enter a stage of post-conflict. This phase requires the long-term commitment, knowledge, experience and articulation of philanthropic actors. AFE and its 70 member foundations are willing to assume this challenge. At this point, the UN, as well as most governments, understand that the enormous challenge of achieving the SDGs requires a very different set of actors driving change and in service of influencing both policy and practice. The SDG Philanthropy Platform in Ghana is an important anchor for bringing a variety of stakeholders together in dialogue to advance Ghana’s SDGs. This was given a major boost with the visit in June 2016 by two of the Platform’s major funders – the Conrad N. Hilton and Ford Foundations – along with key implementing partner Rockefeller Philanthropy Advisors (RPA). 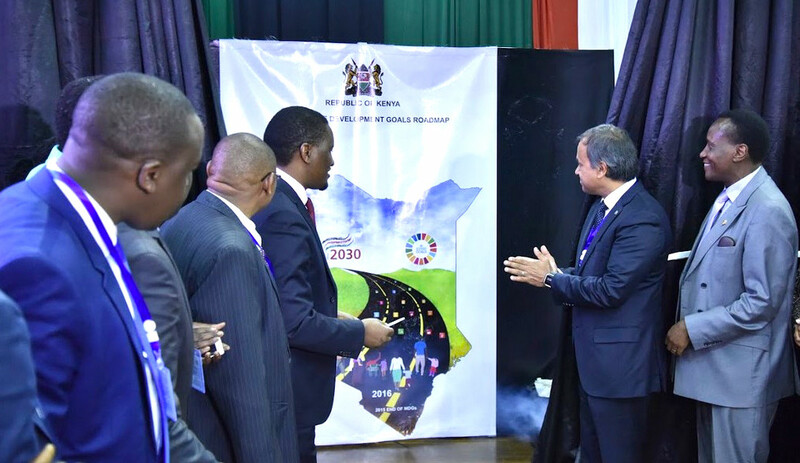 The Government of Kenya has launched the national implementation plan for the Sustainable Development Goals, and expressed commitment that ‘no one will be left behind’ in the economic and social prosperity of the country. 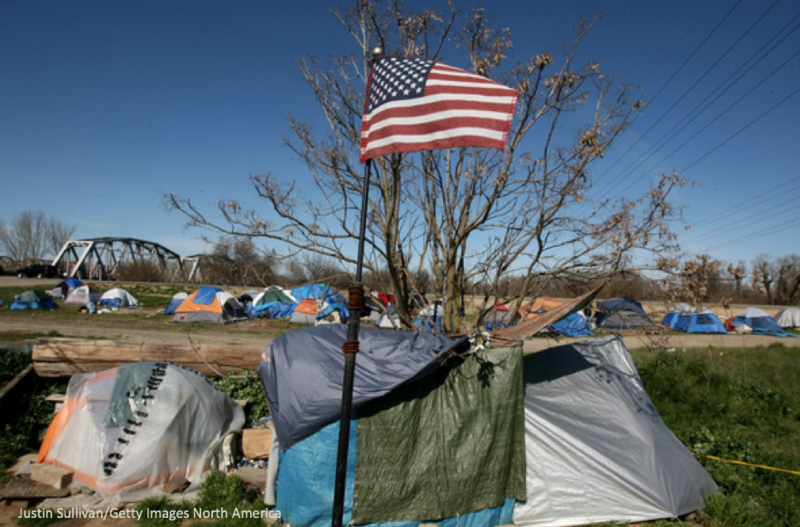 Large U.S. foundations gave a total of $225.7 million in response to disasters and humanitarian crises in 2014, nearly twice as much as in 2013, a new report from the Center for Disaster Philanthropy and Foundation Center finds. 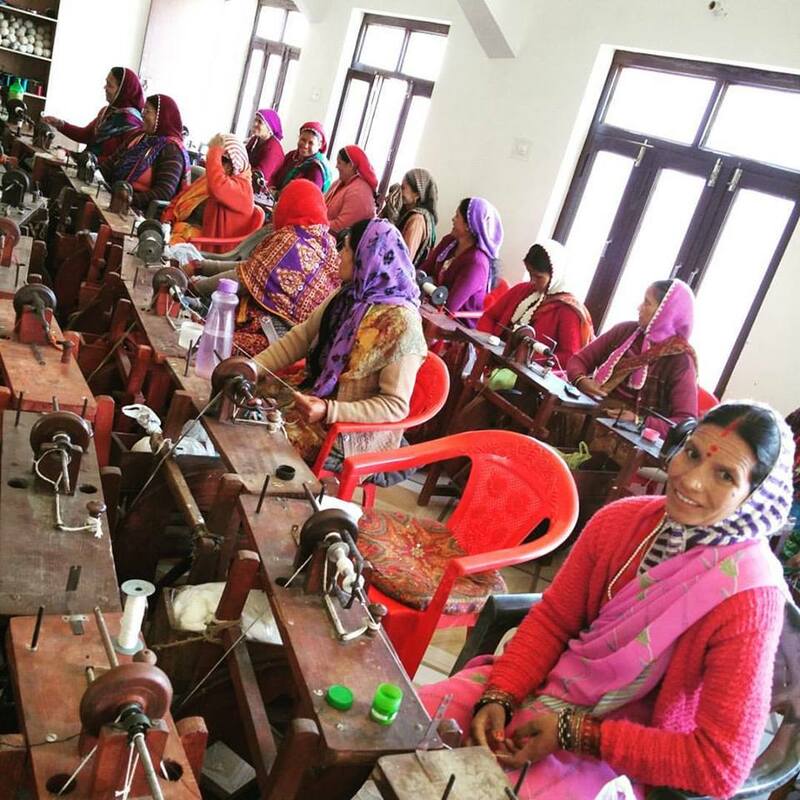 As India marked its national holiday of Diwali, the SDG Philanthropy Platform, a growing collaborative promoting sustainable development, announced its second founding supporter for the initiative in India – the Avasant Foundation. The Platform in India will connect and catalyze partnerships between philanthropic organizations, grantees and partners, the UN system, government, academia, impact investors and the broader business community in order to accelerate achievement of Agenda 2030. 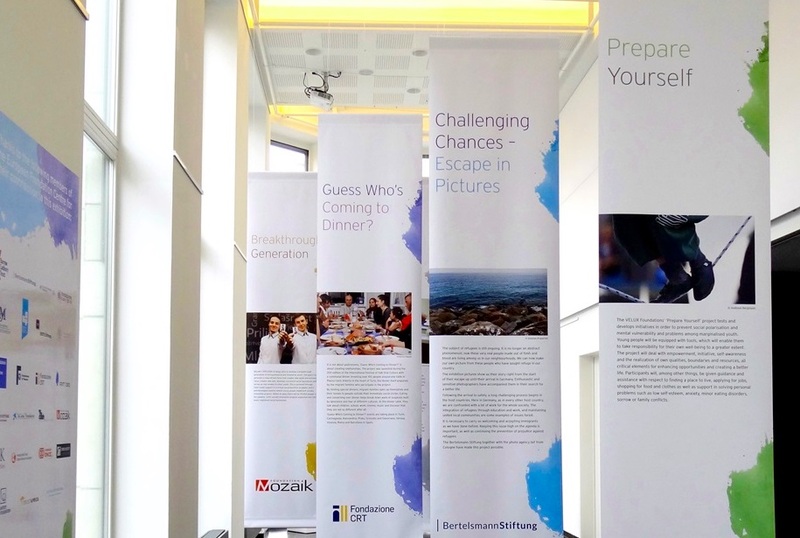 The European Foundation Centre (EFC) has today launched its ‘Championing Philanthropy’ exhibition. Hosted at the EFC’s Philanthropy House until the end of 2016, the exhibition showcases the work of EFC member projects. The aim of the exhibition is to demonstrate the range and impact of the work undertaken by the European philanthropic sector and beyond. On Wednesday, October 12, 2016, 50 leaders from 26 philanthropic organizations met for a Big Ideas Gathering (BIG) at the Clinton Center in downtown Little Rock to discuss philanthropy’s role in addressing core challenges in Arkansas and throughout the south. Five bold, innovative ideas that were shared during the gathering. 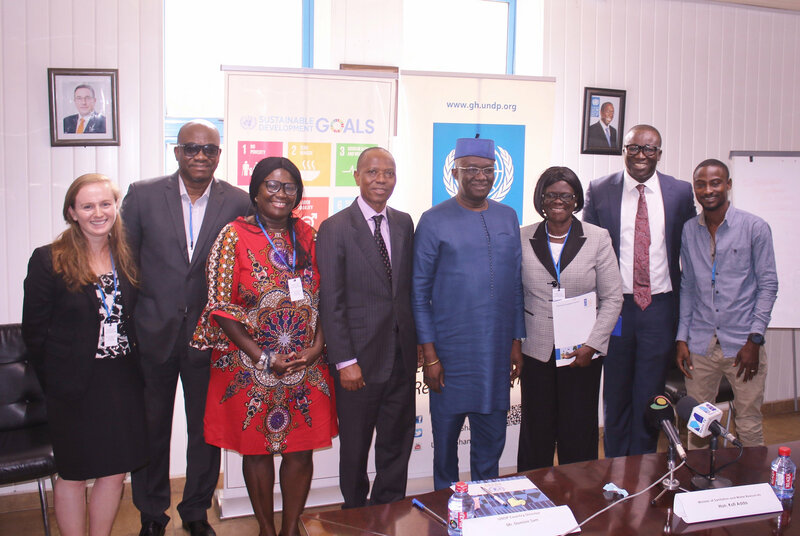 The SDG Philanthropy Platform (the Platform) has again been recognized in Ghana’s Sustainable Development Goals (SDGs) localization efforts. This is typified by SDG Philanthropy Platform Ghana’s membership of the SDG Implementation Coordinating Committee - a body formed to advise and shape Ghana’s SDG alignment with the national development framework. 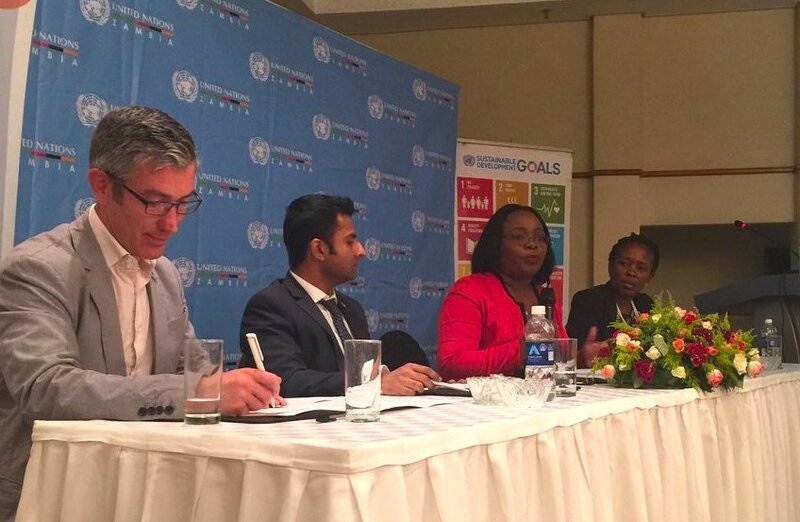 The launch of SDG Philanthropy Platform in Zambia took place on October 20th 2016 in Lusaka, under the frame of leaving no-one behind, with an emphasis on the well-being of children. 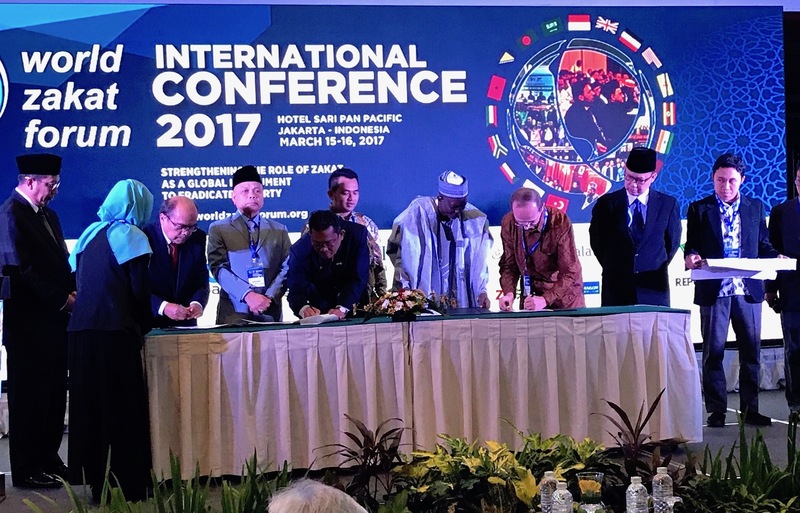 Participants from a variety of sectors attended the event, including representatives from government, the UN, the private sector, faith-based organizations and groups, non-governmental organizations, academia, foundations, and bilateral partners. The John F. Kennedy Profile in Courage Award honors modern-day elected officials who govern for the greater good, even when it is not in their own interest to do so. The award celebrates individuals who choose the public interest over partisanship – who do what is right, rather than what is expedient. Nominations for the 2017 award will be accepted on a rolling basis through February 1, 2017, and awarded in May 2017. Lusaka, Zambia, 20 October 2016 – Today marks the launch of the SDG Philanthropy Platform in Zambia - the fifth focus country and the third in Africa, after Kenya and Ghana. 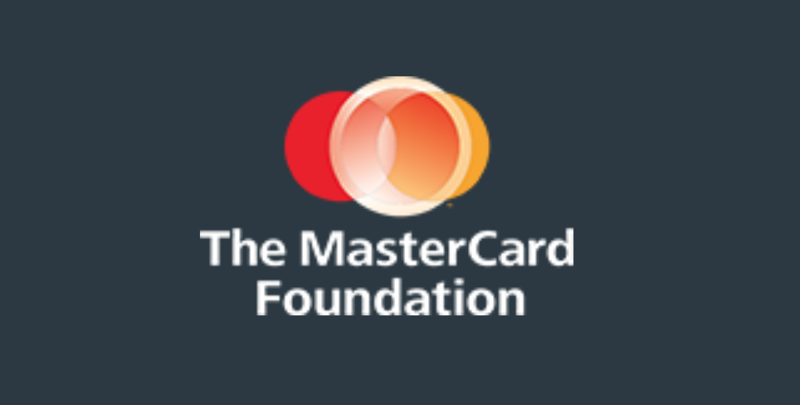 The Platform, with generous support from the Conrad N. Hilton, Ford, The MasterCard Foundation and many others, is engaging philanthropic organizations in countries around the world to contribute actively to achieving the 17 Sustainable Development Goals, or Agenda 2030. 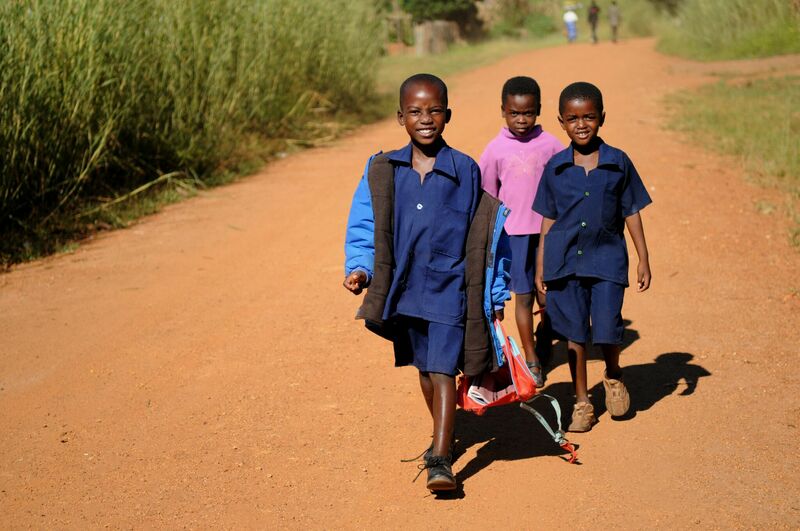 In Zambia the main focus will be on the well-being of children, which supports the UN and governments’ commitments to ‘leave no one behind’. 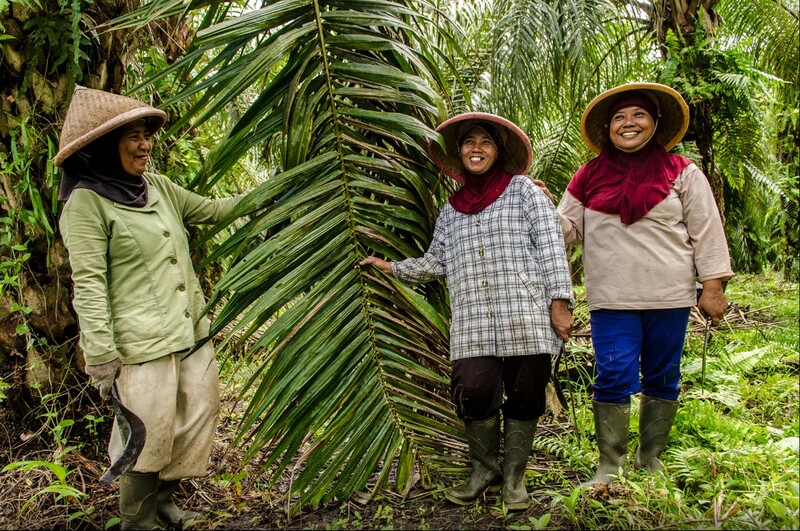 The majority of small-scale oil palm farmers who use unsustainable farming practices tend to be exposed to shocks, such as price fluctuations, and lack opportunities to diversify their incomes. 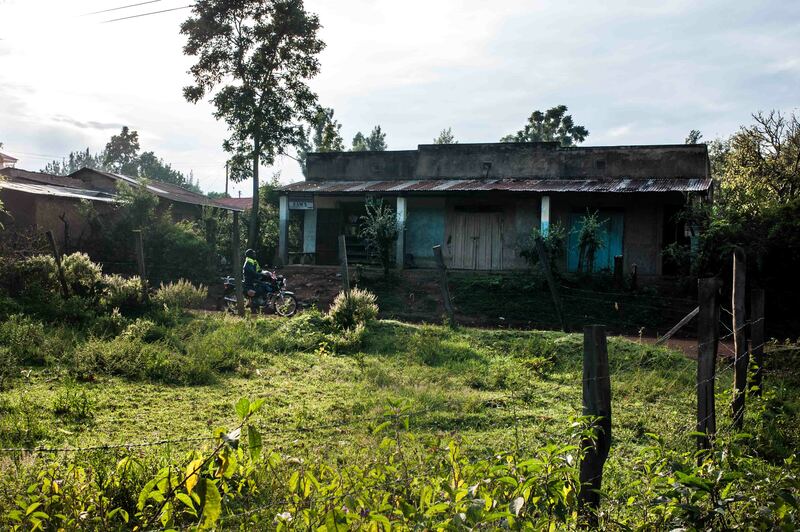 They tend not to have access to financial resources such as credit, loans, technology, formal land titles or skills to engage in agriculture in more sustainable ways. If your organization needs easy access to SDG images and logos for events or publications, please find useful resources inside. 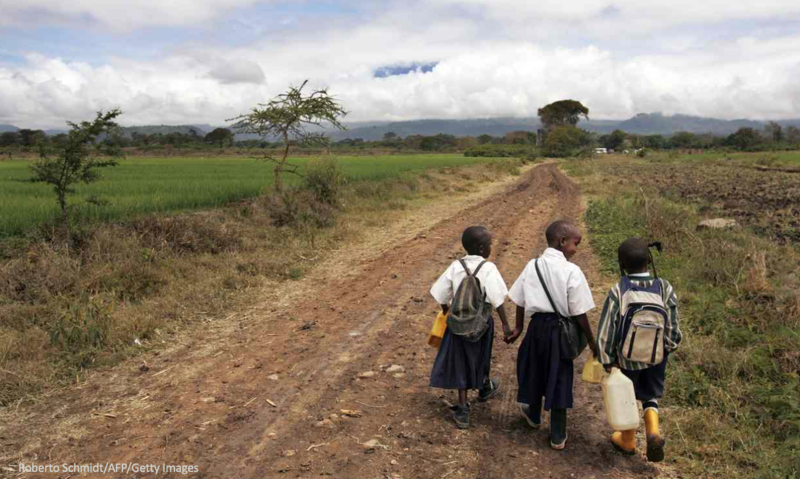 Foundations are now an integral part of the post 2015 development landscape. Foundations have gone from the sidelines to become major players in how the global community can achieve the SDGs. 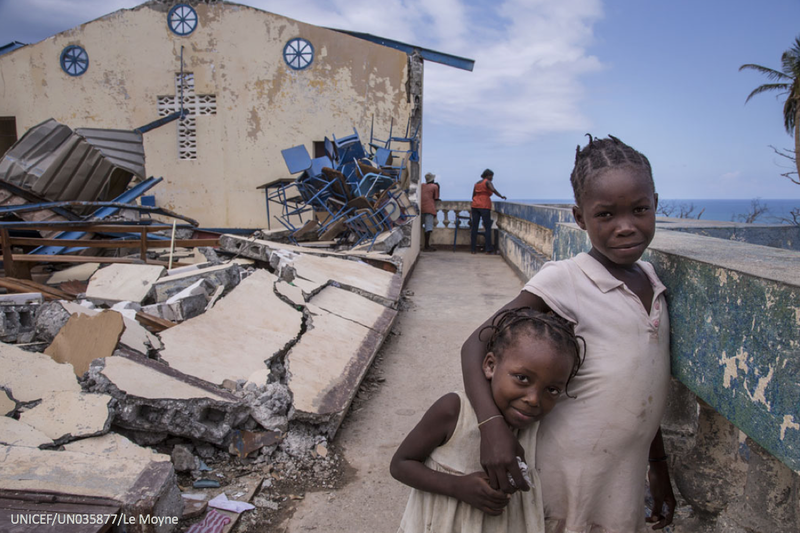 Hurricane Matthew hit Haiti on October 4, wreaking havoc on a country still recovering from a severe earthquake in 2010. 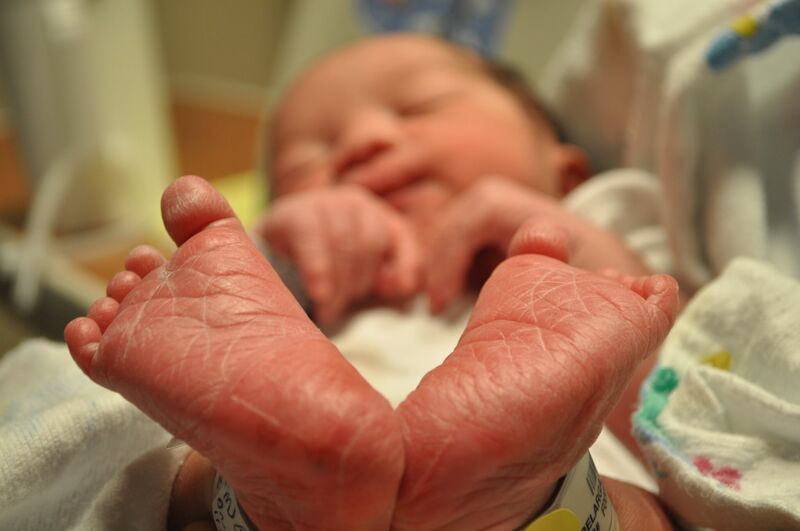 One day later, more than one million people had been affected, including over 500,000 children. 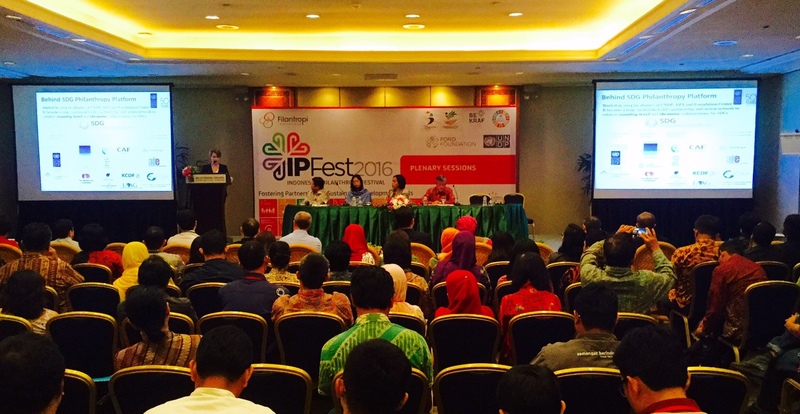 The Indonesia Philanthropy Festival, which took place in Jakarta on the 6-9 October was a dynamic event and demonstrated the huge energy of local philanthropy, civil society, business and government drive towards the Sustainable Development Goals. More than 100 organizations participated, ranging from traditional charities to religious giving, to the most modern forms of impact investing. 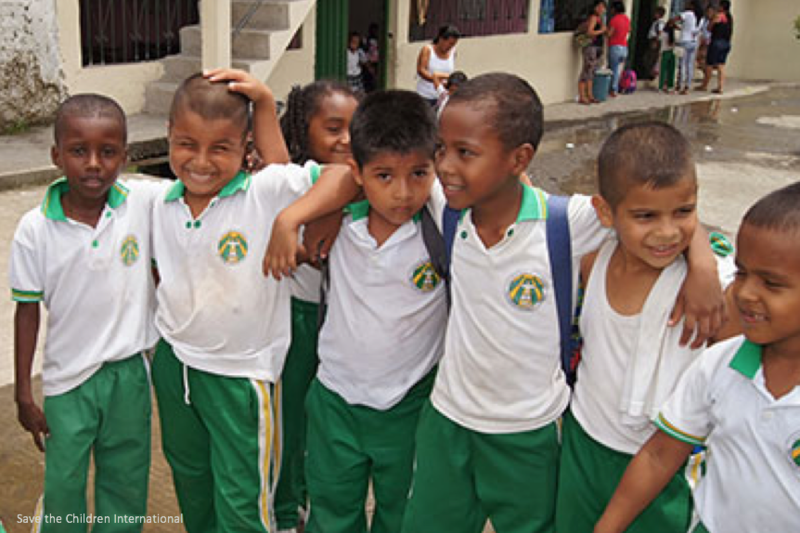 In Colombia, quality education is a critical issue to ensure lasting peace. 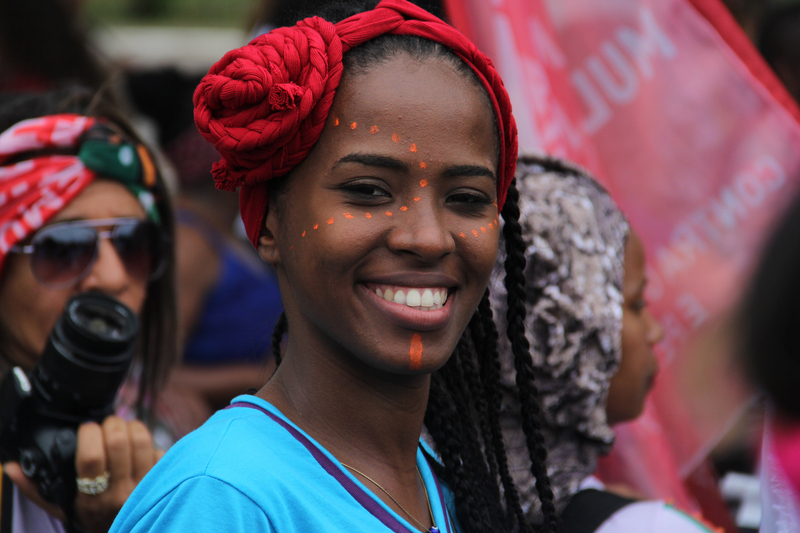 All those involved in Colombian development must ensure that all, from early childhood to youth, receive a quality education without prejudice of their social and economic background, race, gender, or religion. 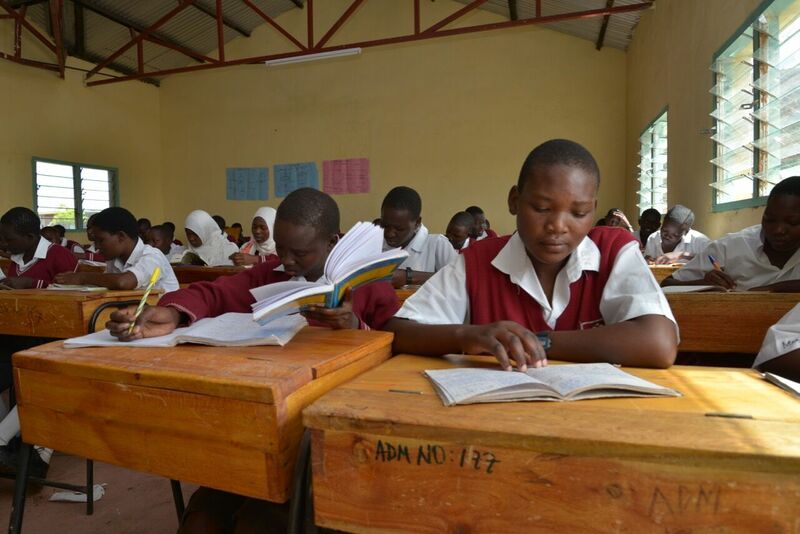 Education is not solely a task for the government and local authorities; philanthropy can contribute to improving the quality of education through social pilot projects, implementing innovations, and new models. 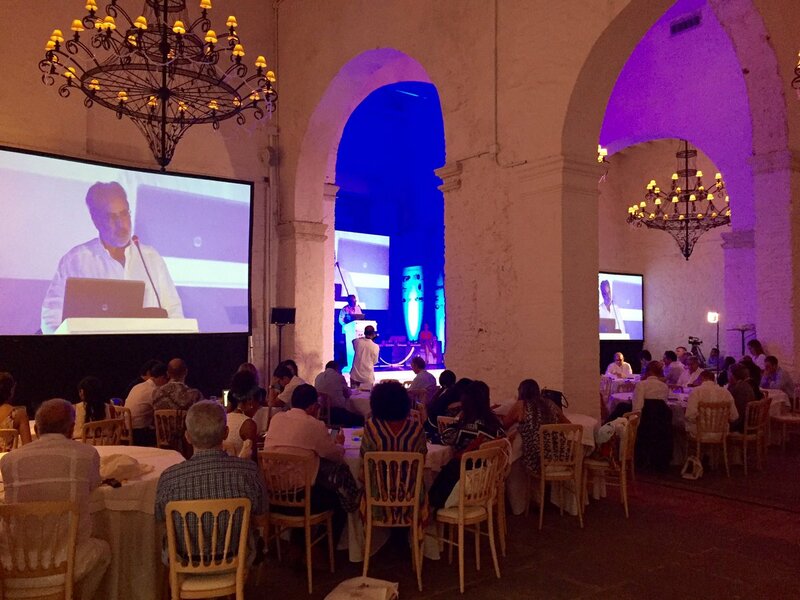 The Forum ‘Futuro Colombia’ took place on September 7th – 8th in Cartagena, Colombia, organized by several partners including the Association of Corporate and Family Foundations (AFE Colombia). The Forum provided a space for dialogue, deep reflections on peace building, and the role of businesses and private foundations as social transformation agents in this historic moment for Colombia. In Ghana, commitment to the SDGs was reaffirmed on the 29th of September at a national Forum organised by the Media Foundation of West Africa (MFWA) with support from Christian Aid – Ghana and in collaboration with Civil Society Platform on the SDGs to celebrate the one year adoption of the SDGs. As Antioquia was strongly hit by conflict, many continue to be distrustful. Some do not believe that the guerrillas feel regret, others, who have been in areas of FARC’s historical presence, are afraid that other emerging armed groups, with a cleared ground, may come to implant their business, impose cruel rules, and what they are most afraid of, to make ‘social cleansing’, like what occurred under Carlos Castaño’s rule. 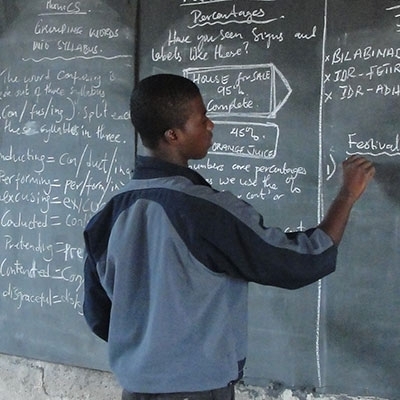 Data is at the centre of many current debates in the development sector. Certainly, data on philanthropy, grantmaking and donor funding is in hugely short supply in South Africa. Today, the United States became the first high-income nation to join Kenya, Colombia, Indonesia, as part of the SDG Philanthropy Platform. 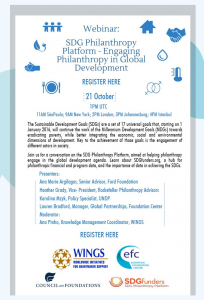 The global SDG Philanthropy Platform, managed by Rockefeller Philanthropy Advisors, the Foundation Center, and UNDP, brings together foundations and philanthropists across the world to build partnerships between philanthropic organizations, the United Nations, governments, civil society, and business to achieve the 2030 Sustainable Development Goals (SDGs). This commitment starts in our home country of Saudi Arabia – from promoting greater political participation for women, to generating a greater understanding of women’s rights, and championing women’s role in the workplace. 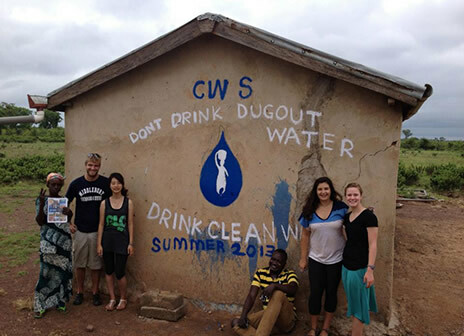 It isn’t just about philanthropy, or corporate social responsibility. It’s smart business. Consumers and employees expect companies to be authentic, transparent, and responsive to community needs. 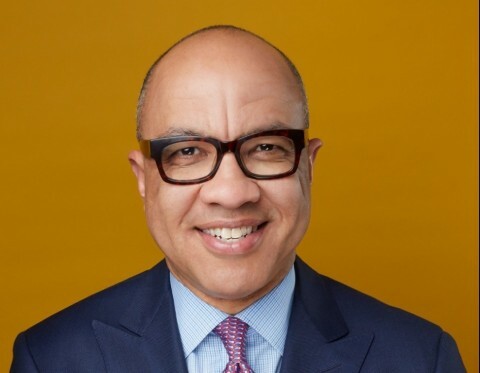 Under president Darren Walker, the Ford Foundation has shifted its focus to addressing and alleviating income inequality around the world. Walker believes that NGOs like Ford need to pay particular attention to this most pressing issue, and also believes the private sector can play a significant and positive role too. the Global Sourcing Council (GSC) developed the 17/17 Initiative to help businesses translate these aspirational goals into tangible action. For 17 consecutive weeks, the GSC, its supporters and partners will provide a platform to educate and inspire extraordinary activities around the 17 SDGs in sourcing and supply chains through a comprehensive communications program focused on one SDG per week. Data is something we all want. Data, though, is not something we can all have...well, not right now at least. 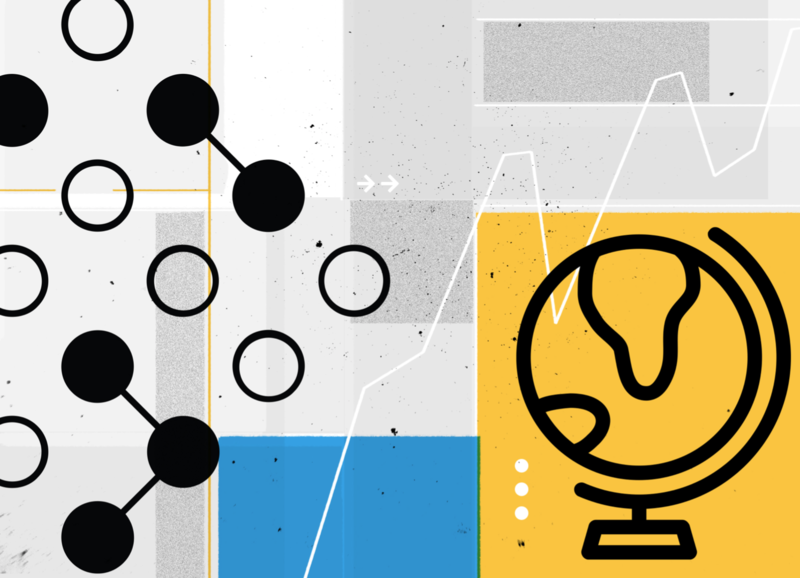 In order for data to be collected, processed, analyzed, and eventually shared—all while taking into account individual country contexts around the world—the data has to exist in the first place. This may seem obvious, but it is often a fundamental oversight globally. 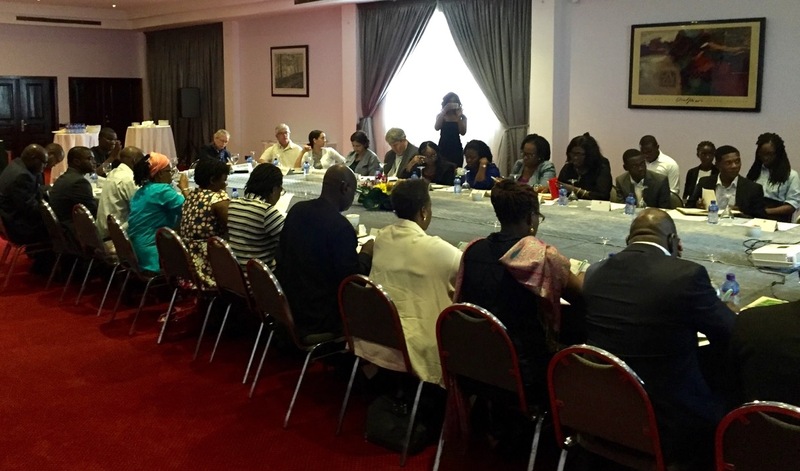 On August 25th 2016 a meeting of foundations was held at the UN House in Lusaka, Zambia. The aim of the meeting was to introduce the philanthropic sector to Agenda 2030, promote the benefits of the SDG Philanthropy Platform and further our understanding of the landscape of philanthropy in the country. Cepei was present at the High Level Political Forum on Sustainable Development (HLPF) in New York and we worked with partners on different fronts by raising awareness through evidence based analysis from the field on issues such as the means of implementation, data availability to monitor progress, and presenting ideas on how civil society and other stakeholders could work together throughout the different phases ahead of us. National ownership on and leadership of the SDGs is vital, countries will need to follow a whole-of-government approach, building broad coalitions around the Goals will be crucial to achieving them, all available financial resources must be drawn on for the new agenda, and every country has relevant experiences to share and new things to learn. 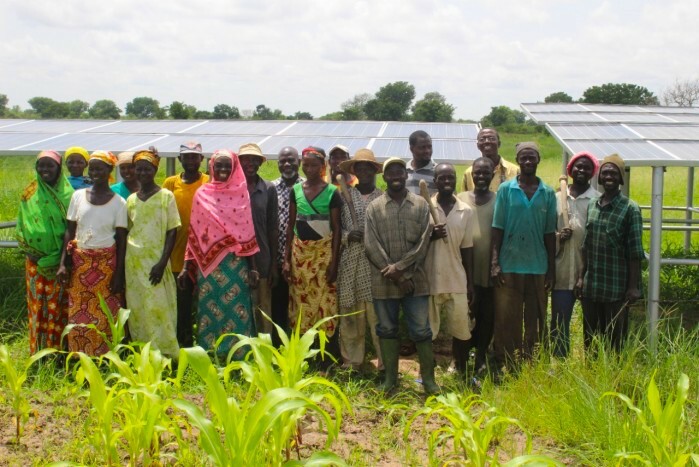 Through a solar-powered irrigation project supported by the Energy Commission of Ghana and UNDP, smallholder farmers in the four communities of Tamalgu, Nakpanduri, Datoyili and Fooshegu can now irrigate their farm fields regularly. The United Nations Development Programme (UNDP) and Mondelez-Cocoa Life are playing a significant role in the Ghanaian Cocoa sector by contributing to enhance the capacity of Extension workers on sustainable environmental practices. Stakeholders of urban planning and development have renewed their commitment to making cities more inclusive and resilient in Ghana. This occurred during a two-day multi-stakeholder workshop to promote resilient activities and increase local level understanding of disaster risk in the Greater Accra Metropolitan Area (GAMA). 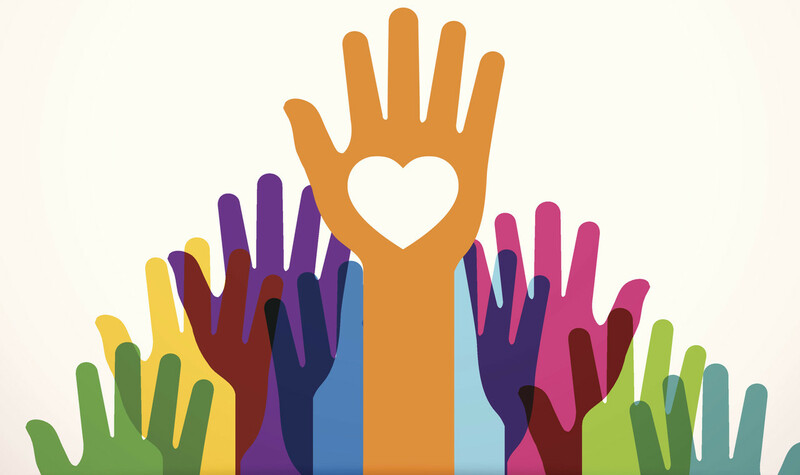 The link between philanthropy and corporate social responsibility lies in a socially committed attitude and approach to help others, enhancing the impact of giving to create sustainable outcomes. In this theme, stakeholders of philanthropy and business in Indonesia partnered to support the achievement and implementation of the Sustainable Development Goals (SDGs) by establishing the Forum ‘Filantropi dan Bisnis Indonesia - FBI for SDGs’, with the tagline ‘SDGs for a better Indonesia’, whose membership has grown to 11 Associations, representing over 700 foundations and business. 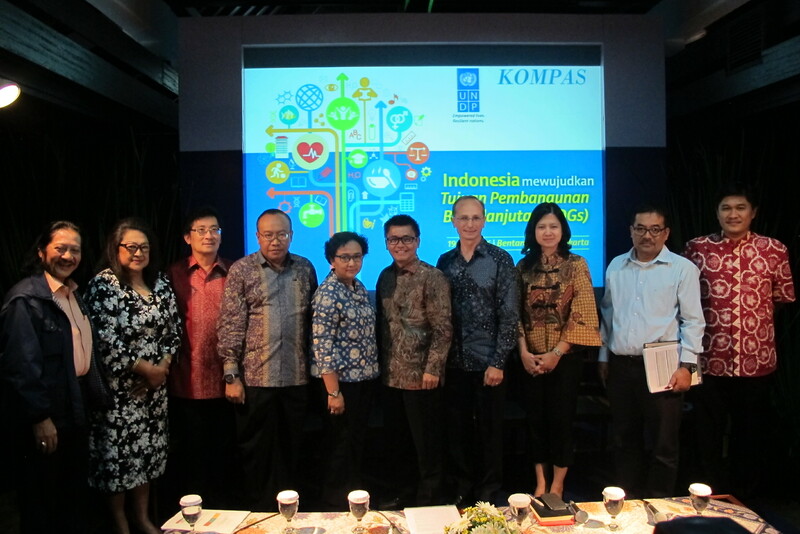 On the 19 May 2016, UNDP and Kompas, Indonesia’s leading newspaper organized the event - "Indonesia heading towards SDGs" - attended by 50 senior representatives from UNDP, government, the World Bank, Ausaid, international foundations, Civil Society Organizations (CSOs), academia and the media. The event included discussions about lessons learned, and views and plans from government, CSOs, philanthropy and business. The Philanthropy Learning Forum, held by Filantropi Indonesia, in partnership with UNDP, met in Jakarta on May 31st, 2016, to discuss this topic: “Diaspora philanthropy: Potential, Challenges and Mobilization Strategy”. Philanthropists and others attended this forum, which presented four speakers who have been actively involved in diaspora philanthropy. 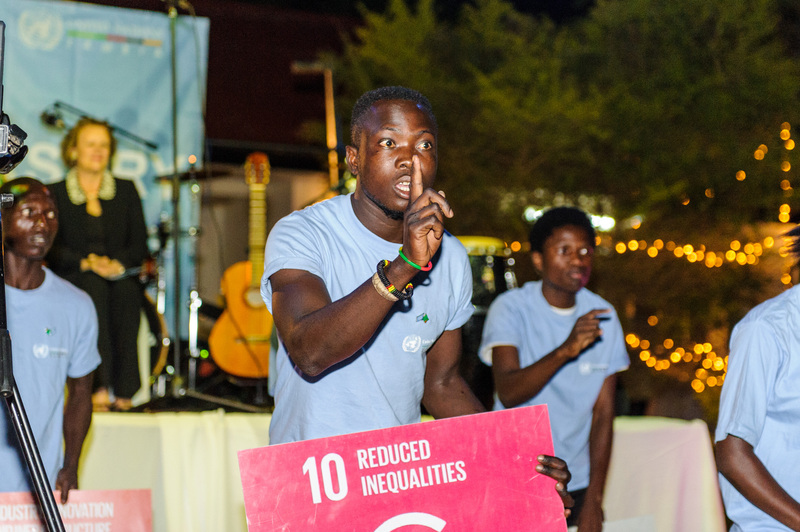 What Are the SDGs and How Do They Relate to the Youth Giving Movement? 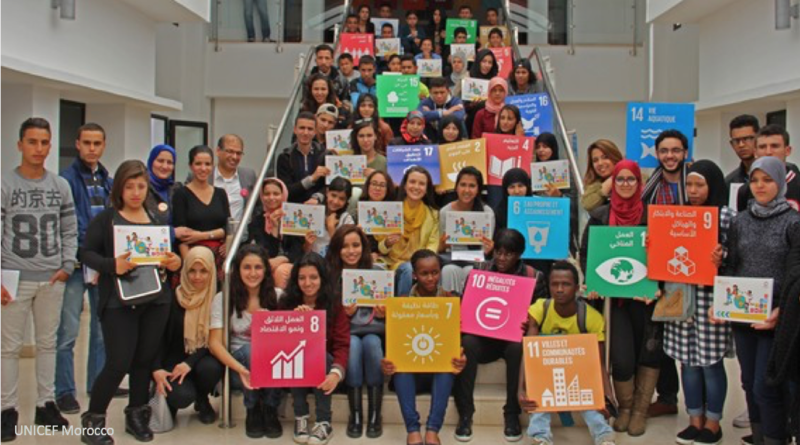 Are the SDGs relevant for youth? Yes, very much! Reading the first paragraph may give a first impression that a bunch of not-so-young people in their suits and ties are fiercely negotiating amongst themselves in some windowless room at the United Nations compound and it has almost nothing to do with youth. But a first impression is not always right. Young people are at the heart of the SDG framework. The words “children”, “young” and “youth” have been mentioned 33 times in the SDG framework. At least 10 of the 17 goals relate directly to the youth and their development. Yet the goals represent a historic and universal consensus about the need to tackle 17 areas of development, from eradicating hunger and poverty to advancing environmental sustainability..
On Wednesday the 29th of June, the SDG Philanthropy Platform (SDG PP), OECD netFWD, UNDP, East African Association of Grantmakers (EAAG), together with partners Kenya Philanthropy Forum (KPF) and the Social Investment Focused Agenda (SIFA) officially launched the Guidelines for Effective Philanthropic Engagement in Kenya (GEPE) in conjunction with the Presidency of Kenya, at the Office of The Deputy President. 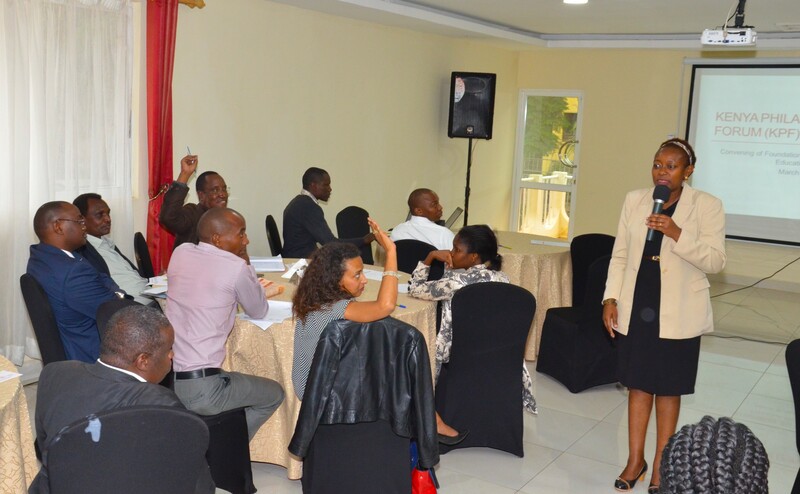 On Tuesday the 31st of May, the inaugural meeting between the Kenya Philanthropy Forum (KPF) Education Group and the Ministry of Education, Science and Technology (MoE) took place at the Sarova Stanley Hotel in Nairobi, supported by the SDG Philanthropy Platform. 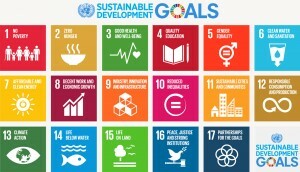 With the Sustainable Development Goals’ overarching promise being to improve living conditions and alleviate suffering for the world population, impact investment - investments made into companies, organizations, and funds in social enterprises with the intention to generate a measurable, beneficial social or environmental impact alongside a financial return – is key to the achievement of the SDGs. The Sustainable Development Goals (SDGs) represent a turning point in development. They apply equally to the global south and north, creating a universal agenda for a different planet by 2030 that ‘leaves no one behind’. In Amsterdam, a capacity filled session during the European Foundation Centre conference explored how philanthropy can strategically engage in the Sustainable Development Goals (SDGs). And that's a conservative number. Though they may not have internalized all seventeen Sustainable Development Goals yet, foundations will contribute more than $360 billion toward their realization between now and the year 2030. Estimates as to the total volume of resources required to succeed on the ambitious global agenda run as high as $3.5 trillion, a sum far too large for bilateral and multilateral aid to cover alone. The remainder will have to come from private investment and philanthropy — and according to initial Foundation Center projections, foundations will do their part. 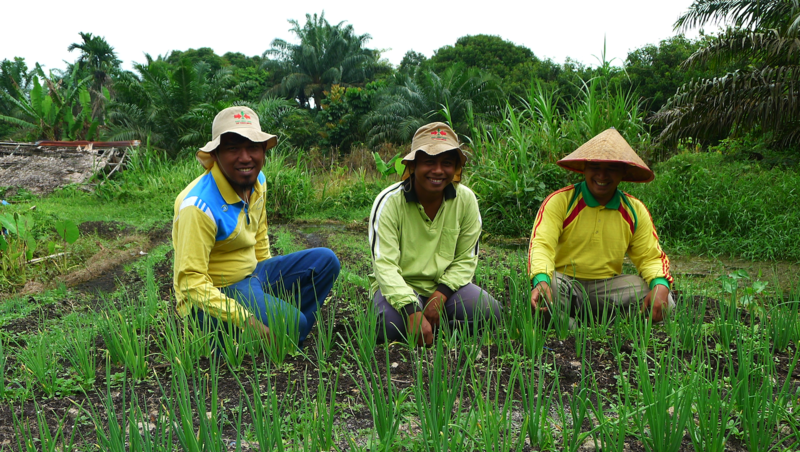 Implementing the Sustainable Development Goals (SDGs) at the local level in Indonesia as well as comprehensively educating stakeholders such as governments and foundations is no easy task. Filantropi Indonesia say giving local philanthropy a bigger voice and encouraging local governments to 'understand their communities' needs' will accelerate successful implementation of the SDGs in Indonesia. From a database of Colombian foundation social projects to an interactive map providing a time-sensitive overview of AFE Foundation social investments across Colombia, the Strategic Platform of Projects map is an industry leader when it comes to tracking national social investments. Carolina Suárez, Executive Director, AFE Colombia, states the map will lead to greater transparency and accountability in the philanthrosphere. 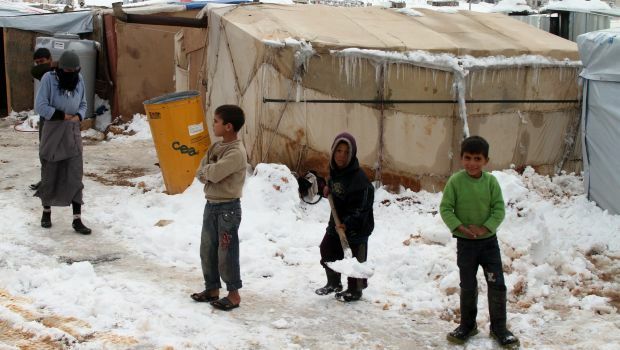 Prolonged humanitarian responses, like the Syrian refugee crisis, demonstrate why the strategy of philanthropy should change towards the 'localization' and support of local NGOs and engage in pooling resources to bridge the humanitarian-development divide. Philanthropic funding can support best practices as they relate to serving the needs of people affected by crises. 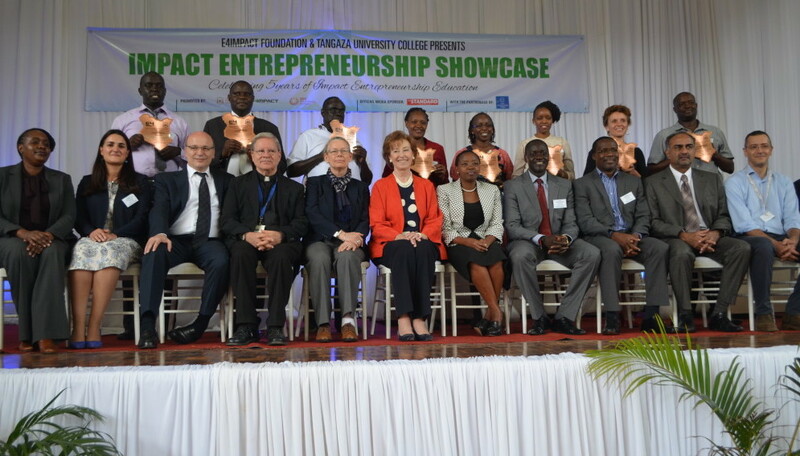 Collaborations between Impact Enterprises and Impact Investors such as the SDG Philanthropy Platform to finance the SDGs will lead to partnerships with other stakeholders that are committed to find solutions and transform Africa. 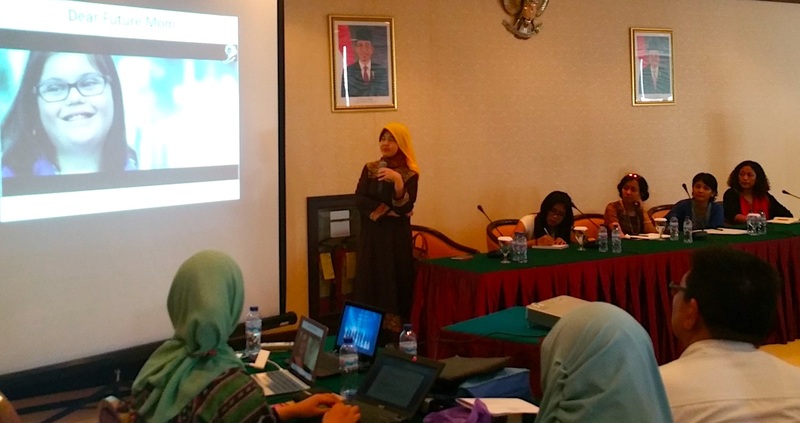 Filantropi Indonesia hosted its sixth monthly Learning Forum on the 29th of April 2016, including a panel of four women-specific focused philanthropists who showcased how Indonesian women have the potential to be volunteers, donators, mobilizers and even fundraisers in addressing special issues related specifically to women as specified in SDGs goal 5: achieve gender equality. The humanitarian system today is being challenged to do more, for more people, and at a greater cost than ever before. 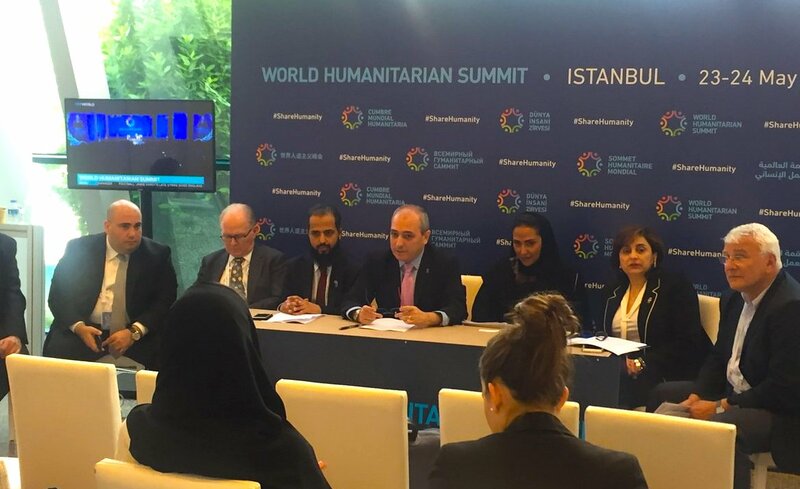 The World Humanitarian Summit provides a platform for all parties – governments, foundations, civil society organisations and businesses – to come together to tackle the causes and consequences of humanitarian crises. 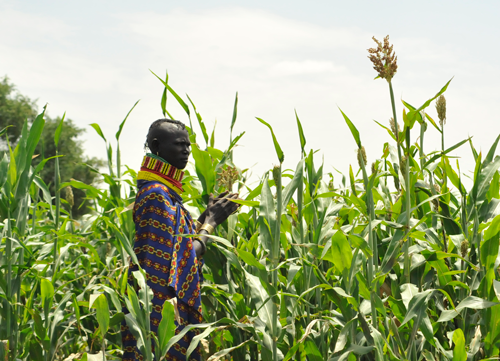 The independence of the philanthropic sector can often play a vital role in delivering aid where other actors will not, and access to vulnerable populations that would otherwise stay isolated from the humanitarian cluster. According to the Foundation Center, between 2002 and 2012, foundations made $30.5bn in grants toward achieving development goals. And, in soon-to-be-released figures, it projects as much as $364bn in such grants over the 15 years, the time frame covered by the SDGs. 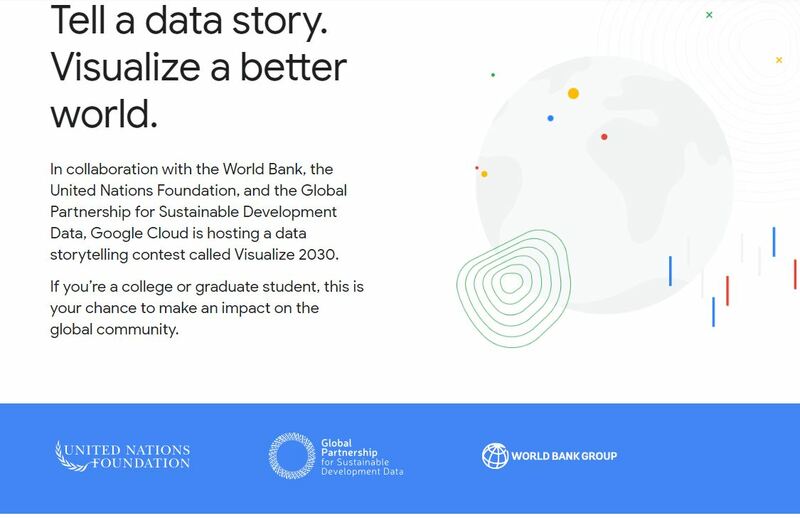 An exciting consensus has emerged in Kenya where it was agreed to adopt a common data strategy to track and report philanthropic contributions on SDG implementation among approximately 50 foundations initially. 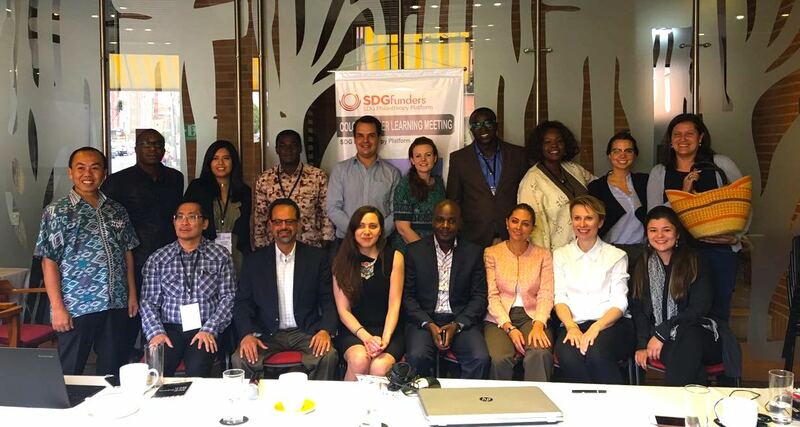 SDG Philanthropy Platform and partners from Kenya, Ghana and Indonesia travelled to Bogota to learn more about the Sustainable Development Goals (SDGs) and the success Colombia seen as a result of strong relationship building between government, the UN, philanthropy, business and civil society on implementing the SDGs. 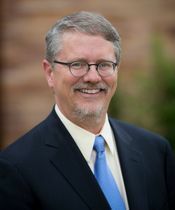 Peter Laugharn, new president and CEO of the Hilton Foundation, talks to Charles Keidan of Alliance Magazine about coming into a foundation which has had a strong and continuous family involvement, the importance of family values to a family foundation, and do specific beliefs inform or interfere with a foundation’s work? 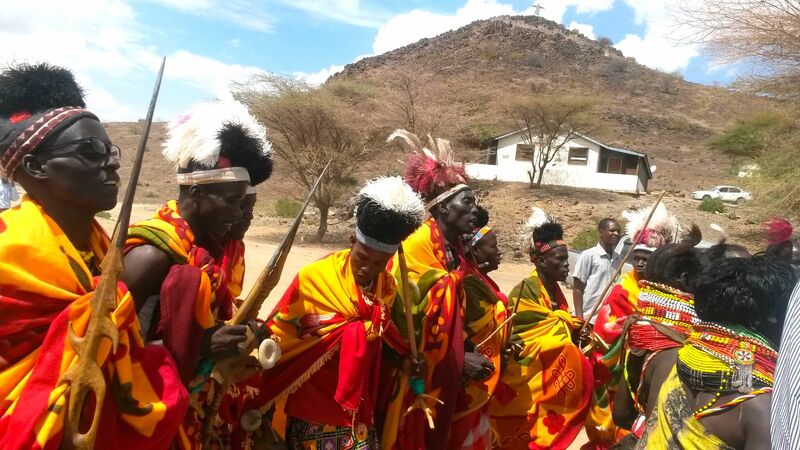 Since the discovery of substantial oil deposits in Turkana County, the region, traditionally marked by poverty, high levels of illiteracy, and insecurity, has received more attention than ever before from business and development entities: multinational companies, NGOs, Philanthropies and Government (at the national and county levels). The collaboration between SDG Philanthropy Platform Ghana and IDP Foundation seeks to co-create solutions in the education sector to boost development. The Platform Ghana will join additional stakeholders working to improve development in Ghana when they attend an education stakeholders workshop that IDP Foundation is holding with the World Bank in September, 2016 in Ghana. 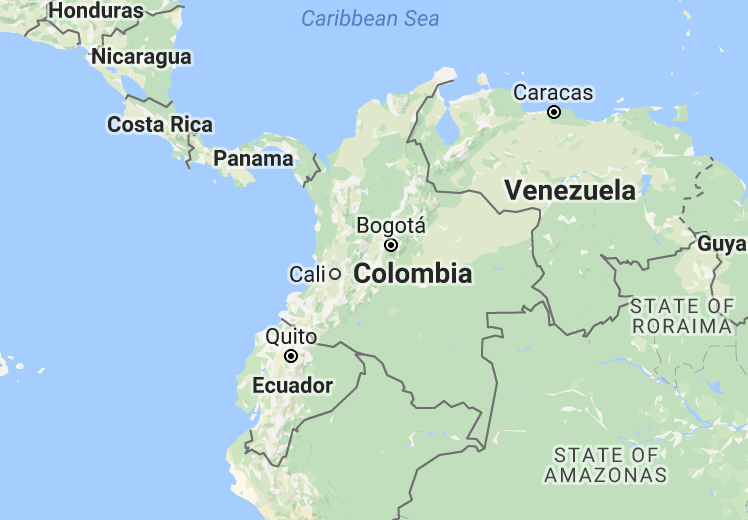 Stakeholders involved with the SDG Philanthropy Platform Colombia will meet with delegations from Indonesia, Kenya, and Ghana in Colombia with the objective of understanding how the private sector, the government and civil society currently work together in Colombia to contribute to South-South cooperation and accelerate the SDGs. 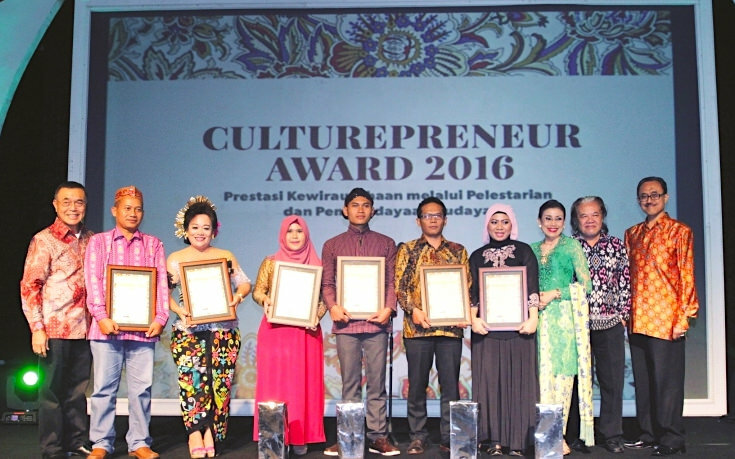 The 2016 Culturepreneur Awards, hosted by the Indonesian Neera Ayu Foundation, is slowly gaining foothold among the social impact investment crowd, illustrating Indonesian investors are not just narrowly concerned with achieving financial gain, they seek a positive social benefit from their investments too. 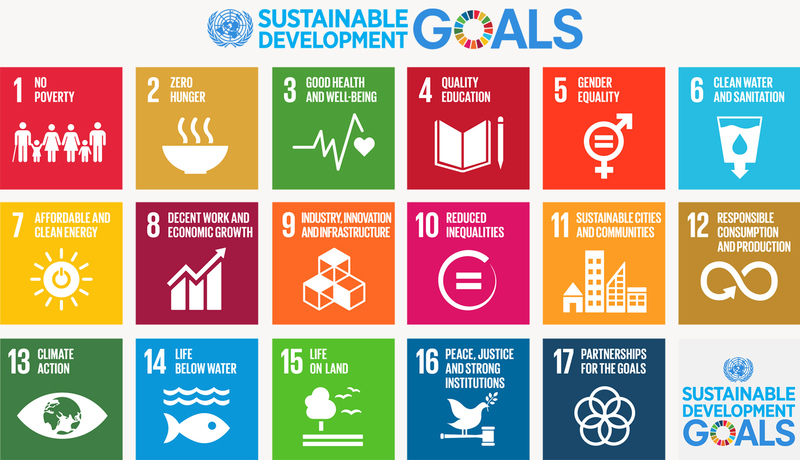 The Sustainable Development Goals (SDGs) made a helpful appearance during the first day of the Council on Foundations’ 2016 conference in Washington, DC today. Helpful and somewhat unusual for this annual gathering of mostly U.S. based foundations and non-profits: Rather than focus on the SDGs as they are being implemented in the developing world, this session focused on the SDGs and their application in the U.S. Unlike the Millennium Development Goals, the SDGs involve some 190 nations around the world, including wealthy and ‘developed’ ones like the U.S.F. The words (repeated countless times) at the Kenya Philanthropy Forum that captured the essence of the meeting were strategy, synergy, quality, equality, and data. In fact, there was consensus that going forward, any meaningful discussion or analysis of the country’s education sector has to go beyond the purse. 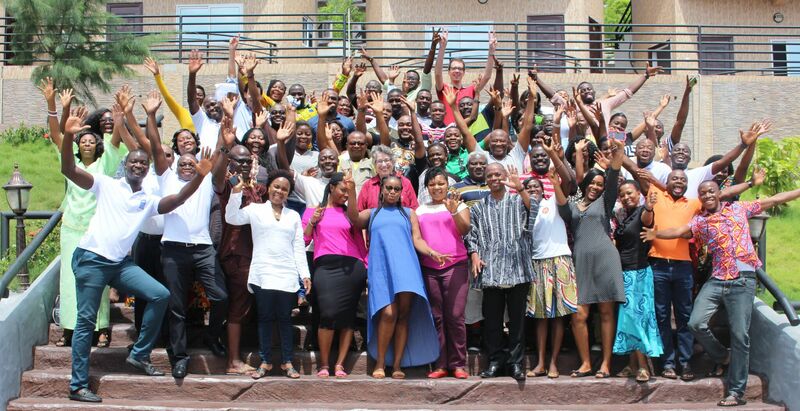 Since the Platform launched in Ghana on July, 2015 heralding over 100 participants from the the UN system to civil society, new and collaborative ways to expand the Platform in Ghana, through government, business and the philanthropy sector, continue to grow. Civic engagement is a key dimension of good governance and therefore a driver of sustainable and inclusive development, which is also the core of the matter of the Agenda 2030 and the Sustainable Development Goals (SDGs). 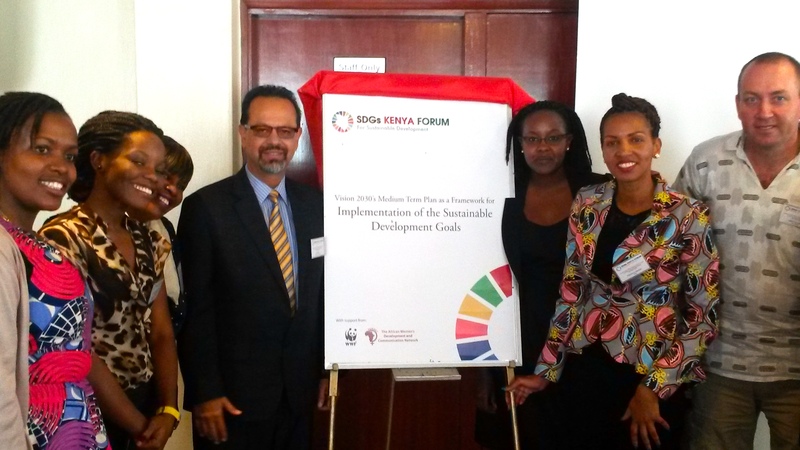 On 4 March 2016, a section of Kenyan civil society undertook an important step towards a more structured and coordinated engagement of Civil Society Organizations (CSOs) in support of the implementation of the global goals by launching the SDG Kenya Forum. 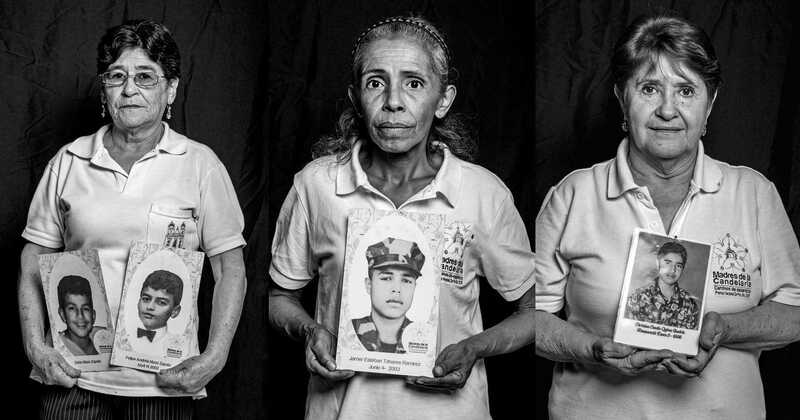 Colombia is at the brink of making one of the most transcendental transitions in its history: Putting an end to the armed conflict that has afflicted the country for the last 50 years. The country faces tremendous opportunities and challenges ahead, including overcoming the divide conflict has caused in Colombian society. I’m fresh from a trip to Africa, a continent where I cut my teeth as a young professional decades ago, working in Sudan for 3 and a half years with an NGO on “integrated rural development.” That’s what we called it then, planning our programs carefully to create stable transitions from famine to relief, and from recovery to sustained local development, as well as understanding the links between the social, economic, and environmental dimensions of people’s lives. 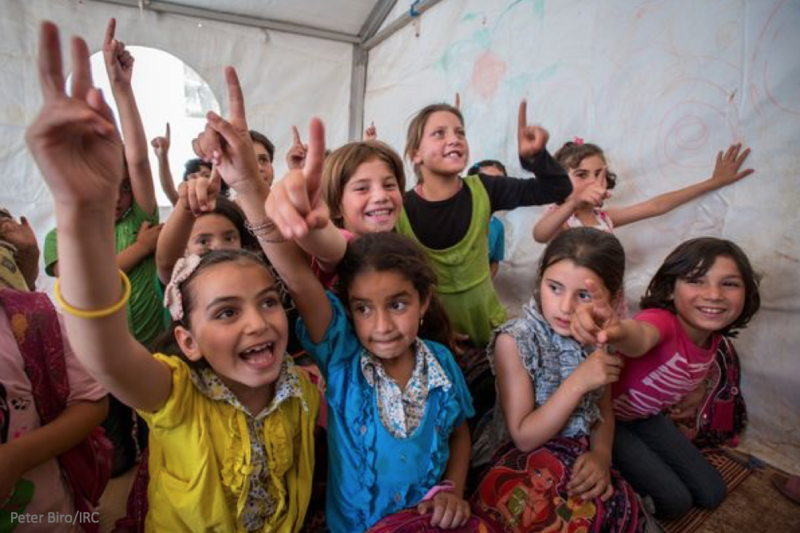 Protecting and ensuring free, safe and well-resourced spaces for civil society is a common objective shared by the UN and philanthropy who both work with national partners to achieve just that. UNDP has worked with governments and Parliamentarians in 111 countries worldwide on capacity development and ensuring the voice of civil society organizations in policy making. In Kenya, Ghana, Indonesia and Colombia for example, we have facilitated conversation with governments to include philanthropy as a distinct development partner in implementing national development plans, inspired by the Sustainable Development Goals. Australian philanthropy and DFAT are ready to expand their partnership networks and strengthen SDGs cooperation with international development players UNDP Indonesia and PFI. 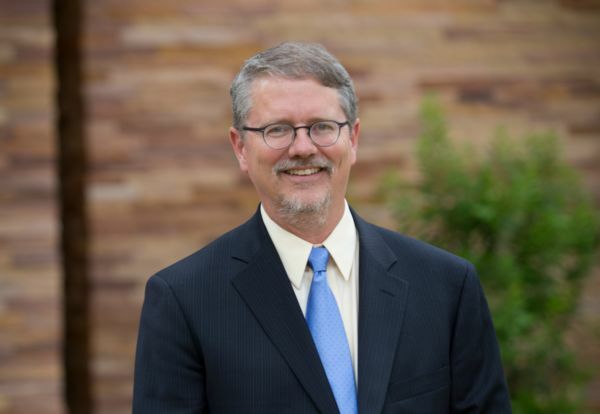 In his book A Mighty Purpose: How Jim Grant Sold the World on Saving Its Children, Adam Fifield shares a 1982 conversation between Grant, who headed UNICEF from 1980-1995, and Dr. Jon Rohde an American pediatrician. The discussion took place as Rohde drove Grant in an old jeep over rutted roads in Haiti and was pivotal to the launch of the child survival revolution that Grant would go on lead. 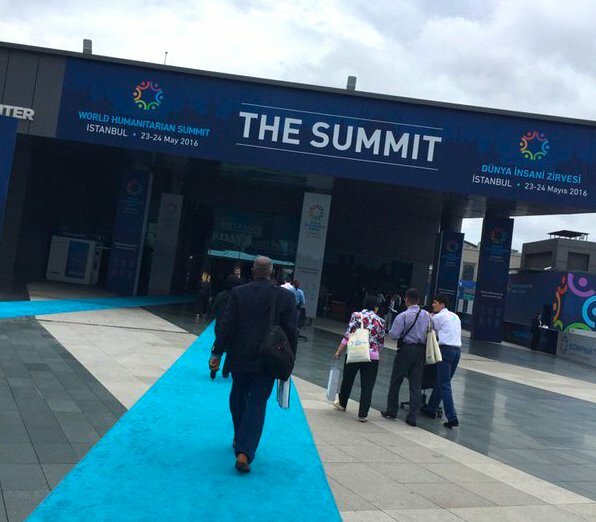 One could draw a direct line from that revolution to the goals of the World Summit for Children in 1990, the Millennium Development Goals launched in 2000 and the Sustainable Development goals set in 2015. 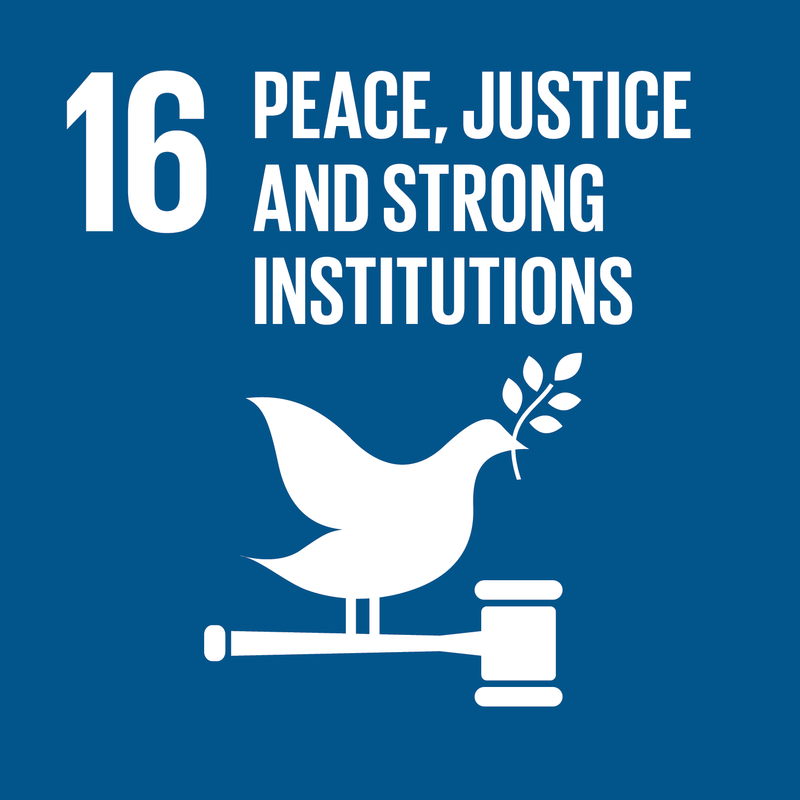 The international development community rightly saw the agreement of Sustainable Development Goal 16 as a significant break-through, a recognition that institutions matter to development outcomes, that inclusive state-society relations are important, and that fundamentally peace is core to human well-being. The celebration of the agreement of the Goal has, however, started to fade and now stakeholders are waking up to the morning after the party, perhaps with a few sore heads as the challenges of actually achieving the Goal become clear. 31 December 2015: During a visit to Kerala, India, I drive past gleaming malls and the skeleton of a new metro in a hometown virtually unrecognizable from my childhood. But I also see stubborn challenges, like the very poor left behind in this economy and the deteriorating quality of air and food. 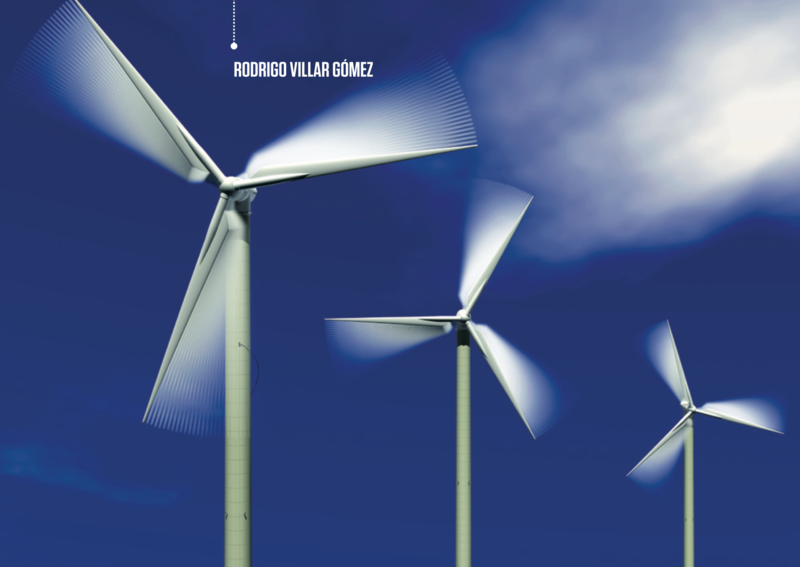 The key articles from Alliance magazine's special feature on 'Why the SDGs Matter' have been translated into Spanish by Asociación de Fundaciones Empresariales (AFE). The Council on Foundations is hosting meetings to discuss how the work already underway at local level supports the newly announced universal Sustainable Development Goals (SDGs). As American philanthropy grapples with local challenges, how do our solutions and experiences link to challenges elsewhere around the globe? 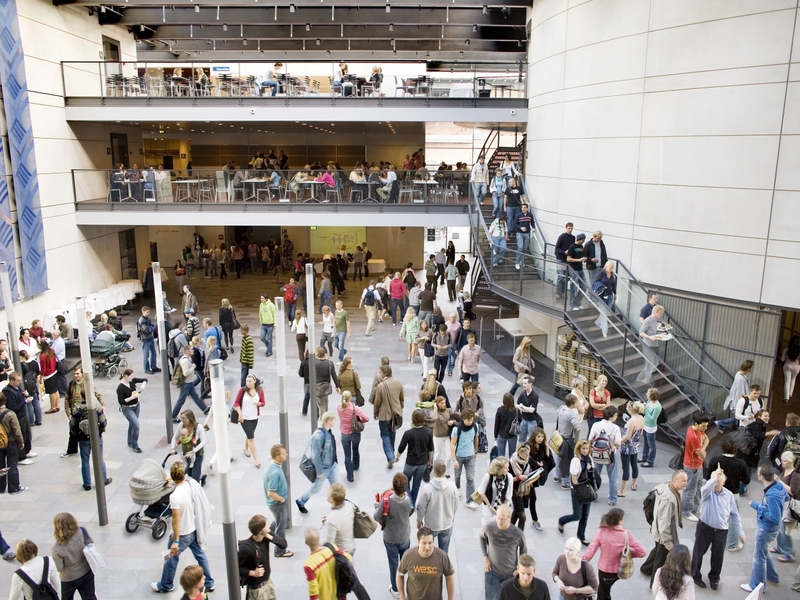 How can these new global goals encourage and enhance domestic programs in the United States? One of the most important shifts in international cooperation of the last 50 years will take place in January, as the 15-year-old Millennium Development Goals campaign comes to an end and a new set of Sustainable Development Goals (SDGs) come into effect. The articles in this special feature give leaders multiple lenses for analysing these goals, from thematic areas like climate change and rights to ‘modality’ issues like participation, the questions of ‘whose voice?’ and financing. Como o investimento social privado pode se relacionar com a agenda dos Objetivos de Desenvolvimento Sustentável (ODS), adotada e lançada pela Organização das Nações Unidas (ONU) este ano? Esse foi o tema do encontro promovido pelo GIFE, IDIS (Instituto para o Desenvolvimento do Investimento Social e WINGS (Worldwide Initiative for Grantmaker Support) no dia 13 de novembro, no Instituto Alana, em São Paulo. A atividade contou a participação de representantes da Rockefeller Philanthropy Advisors e Foundation Center. 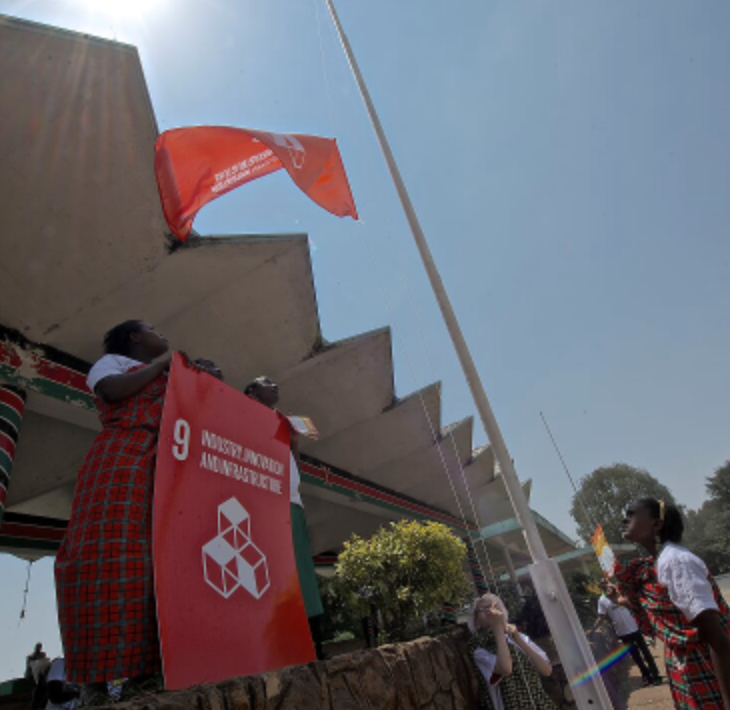 UNDP partnered with the Nairobi County Government, civil society organizations and the private sector to raise a flag in support of the Sustainable Development Goal 9, at the historic Uhuru Park. The event is part of a global campaign to raise 17 flags, representing the 17 global goals, in an effort to raise awareness and popularize the SDGs which will be endorsed by world leaders during the UN General Assembly in New York from 25th to 27th September 2015. 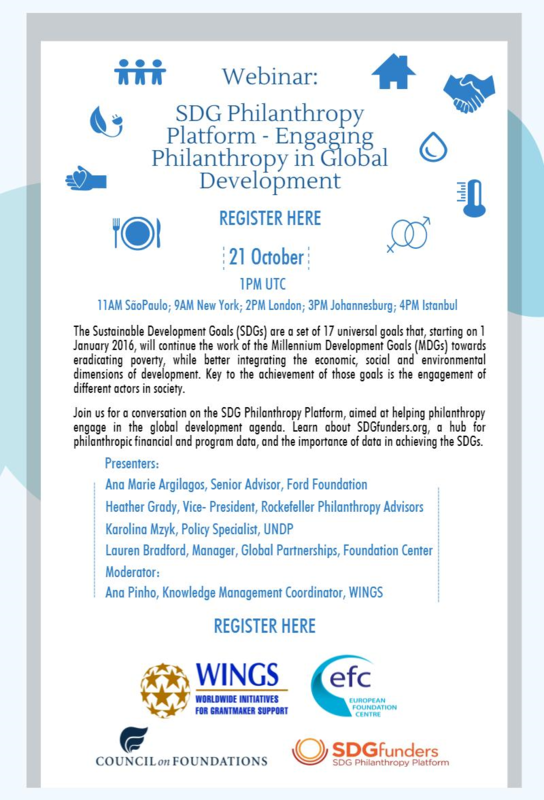 Join us for a conversation on the SDG Philanthropy Platform, aimed at helping philanthropy engage in the global development agenda. 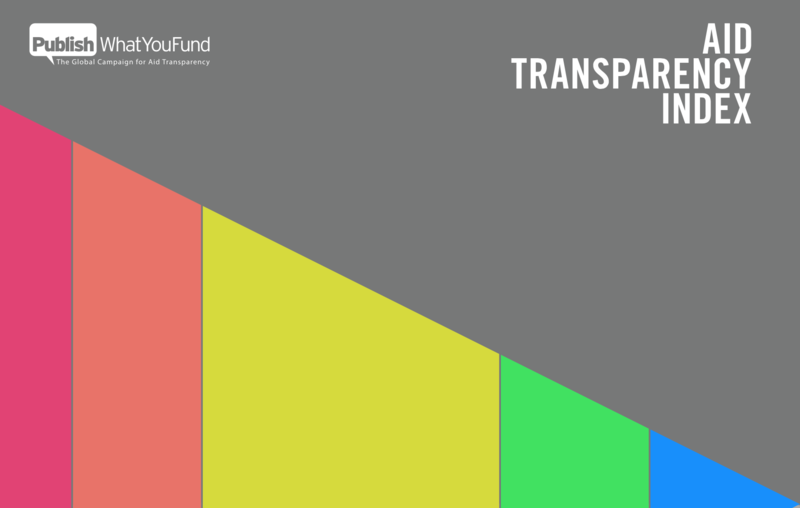 Learn about SDGfunders.org, a hub for philanthropic financial and program data, and the importance of data in achieving the SDGs. 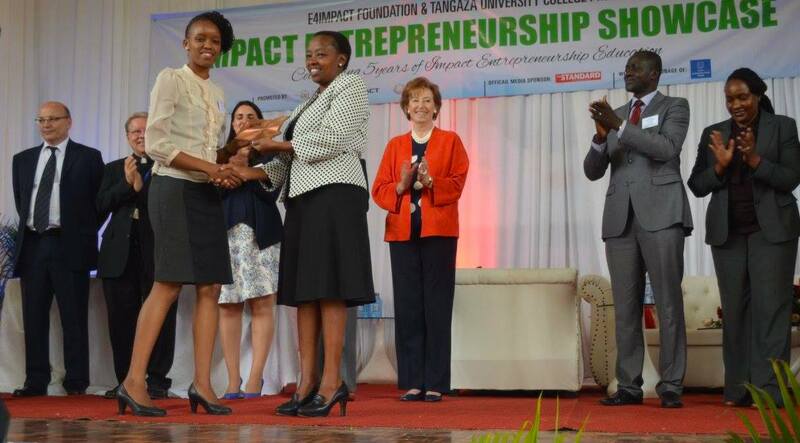 In November 2014, a new kind of partnership was launched in Kenya: the SDG Philanthropy Platform (then known as the Post-2015 Partnership Platform for Philanthropy). Some individuals present at the launch event called it “uplifting and historic,” words not often used for philanthropy sector gatherings. To my knowledge, it was the first time civil society, philanthropy, members of the public sector, and officials from multiple United Nations agencies came together around a common agenda. On the eve of the historic UN Summit on the Sustainable Development Goals, Rockefeller Philanthropy Advisors, the United Nations Development Program, and Foundation Center are hosting the convening Philanthropy Engaged: Implementing and Achieving the Post-2015 Agenda as a part of our SDG Philanthropy Platform. This old African proverb underpins UNDP’s engagement with philanthropic foundations for the implementation of the new sustainable development agenda. Last week I was referenced on our favourite development social media tool, Twitter. The quote was put into the Twittersphere by UNDP Indonesia during a panel I spoke on about data at the launch of the Post-2015 Partnership Platform for Philanthropy workshop in Jakarta. This quote summed up exactly what I have been trying to say and to express through this work, and I guess it looks like I finally said it to a room of 150 philanthropists. In the panel I “called for philanthropists to share data to help all parties work toward achieving the post-2015 development agenda”. I didn't just call for this I genuinely believe data is a catalyst for change and achievement.